Highlights of the final day included six distinguished lectures on a wide range of educational ventures and trends, presentations for best PIC and Zone papers, and a field trip to Boeing’s flagship facility. 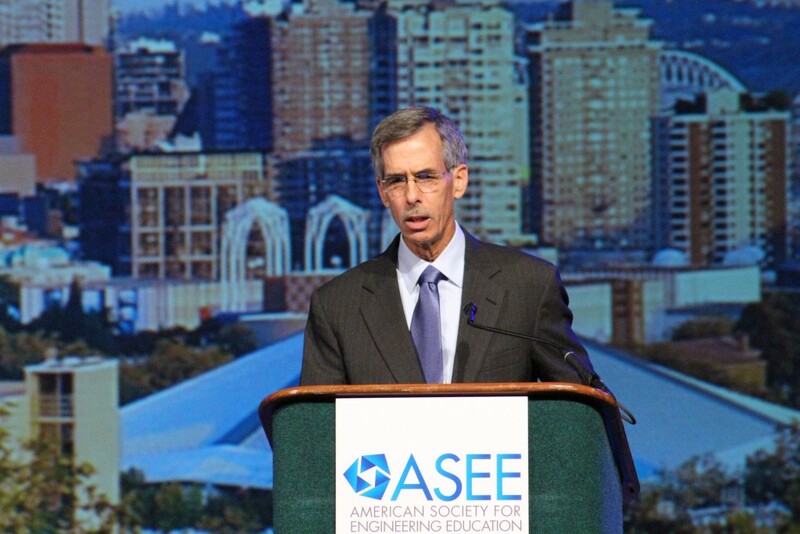 Then, in his last act as ASEE President, Nicholas J. Altiero hosted a well-attended Farewell Reception for all attendees, sponsored by Dassault Systèmes and Lockheed Martin, where he recognized members of the ASEE Board of Directors whose service continues for 2015/16 and welcomed the new board members. 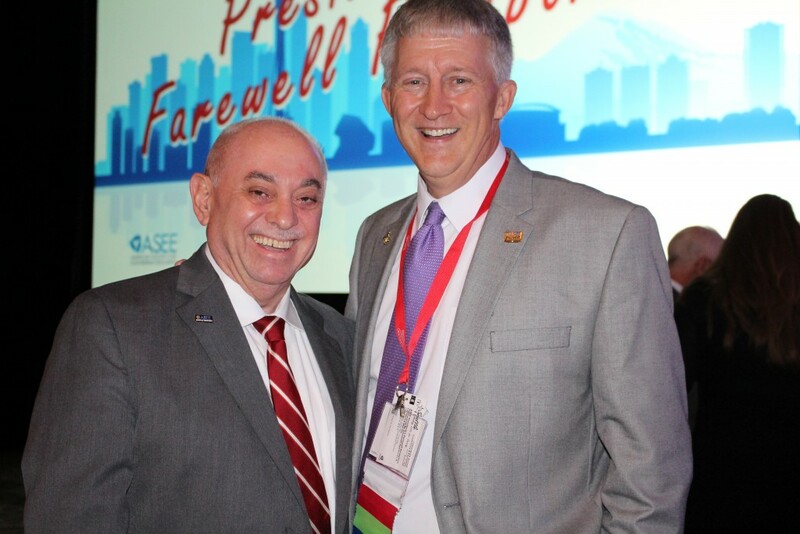 The occasion marked the beginning of Joseph Rencis’s service as ASEE President and the start of Louis Martin-Vega’s term as President-elect. Lingering in Seattle? Enjoy group rates to a Mariners game June 18 & 19 – exclusive for ASEE conference attendees! Click HERE for details. The Distinguished Lecture Series spanned subjects from manufacturing innovation to the Internet of Things. 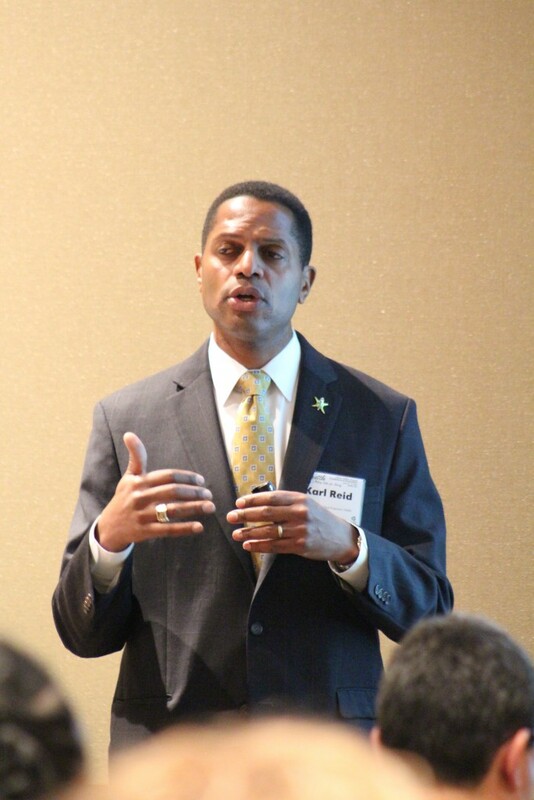 Karl Reid, the newly appointed executive director of the National Society of Black Engineers, discussed creating an ecosystem of achievement for college success. 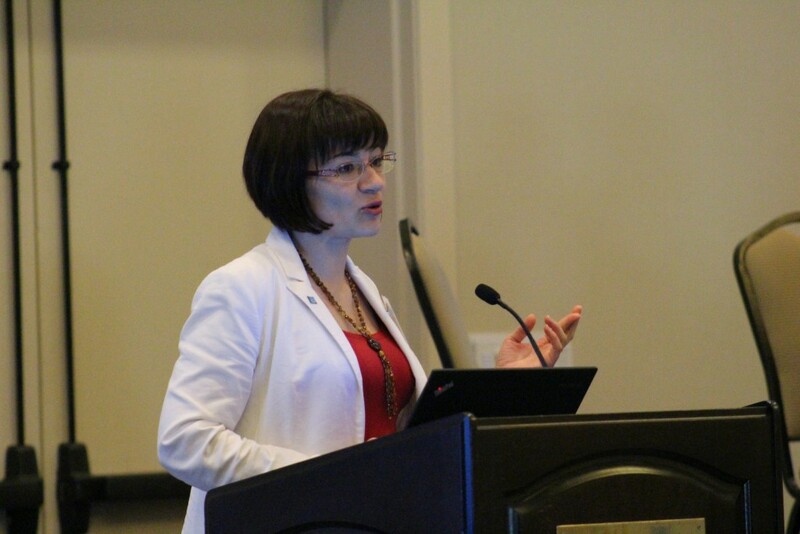 In keeping with ASEE’s Year of Action on Diversity, Alice Merner Agogino, the Roscoe and Elizabeth Hughs Professor of Mechanical Engineering at the University of California, Berkeley, discussed the recent National Academies report on the career choices of women engineers. Manufacturing innovations, including industry-university partnerships such as the National Network for Manufacturing Innovations, was the subject of “Unifying the Enablers for Innovation and the Talent for Making Value for America.” The panel. moderated by outgoing ASEE Board member C. Diane Matt and Carrie Houtman, featured S. Jack Hu, interim vice president for research at the University of Michigan; Mark J. Shuart, R&D facilities program manager for the Advanced Manufacturing Office, Energy Efficiency and Renewable Energy, at the U.S. Department of Energy; Kate S. Whitefoot, senior program officer and the Robert A. Pritzker fellow at the National Academy of Engineering; and Gerould Young, Director of Advanced Manufacturing & Materials at Boeing. In Power to the People: Engineering Education and Energy Poverty Alleviation, Henry Louie, associate professor of electrical and computer engineering at Seattle University and member of the Governing Board of the IEEE Power & Energy Society, used experiences in electrification projects in Kenya and elsewhere to show the “double opportunity” of alleviating energy poverty while tapping the interest of today’s globally conscience generation of students. 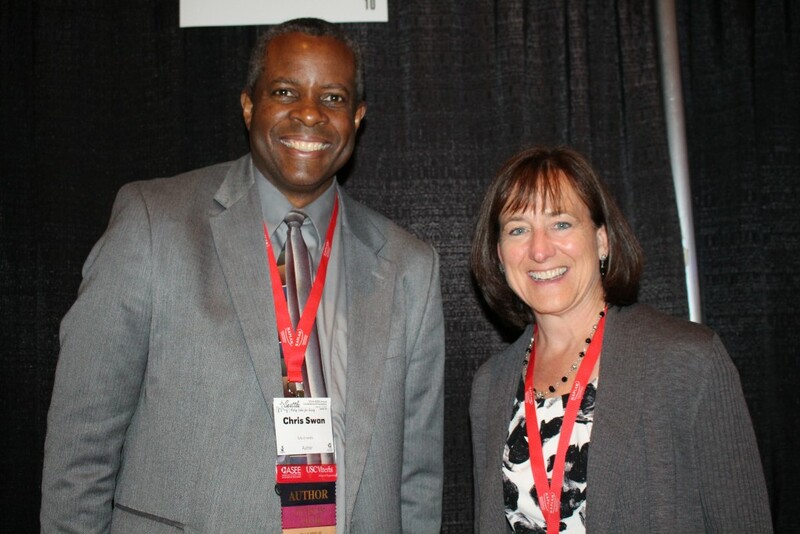 In “A Framework for Catalyzing Change in Engineering Education,” delivered in the same session, Susan Elrod, interim provost and vice president for academic affairs at Chico State University, discussed campus case studies and the reform process embodied in Guide to Systemic Institutional Change in STEM Education that was developed in a project funded by the W.M. 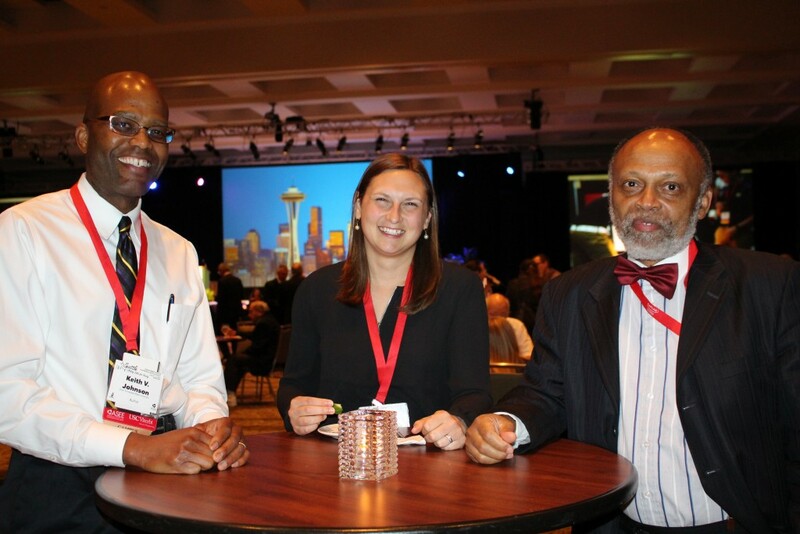 Keck Foundation through Project Kaleidoscope at the Association of American Colleges & Universities. Participants applied some of the Guide’s tools and developed the outline of a plan for change on their own campuses. The meteoric growth of the Internet of Things (IoT), with billions of connected products worldwide, hinges on a crucial ingredient: education, argued Parametric Technology Corp.’s John Stuart, senior vice president for global academic programs and Alister Fraser, senior manager of education partner programs for the Americas, in this sponsored session. Their provocative lecture, The Internet of Things: A Smart Connected Crisis? 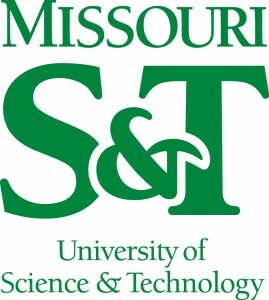 described how the distributed global design process and embedded software has meant that an understanding of smart, connected product development has become a necessary skill for graduates, and they demonstrated how to leverage a free classroom IoT tookit that lets students design and build monitoring and control applications. In the Internet for Everyone and Everything, Dave Wilson, director of academic programs for National Instruments, sponsor of the session, explored the evolution of system design as a new discipline and how applying traditional “siloed” design approaches to meet fifth generation (5G) challenges could, in fact, be the bottleneck preventing a new network vision. 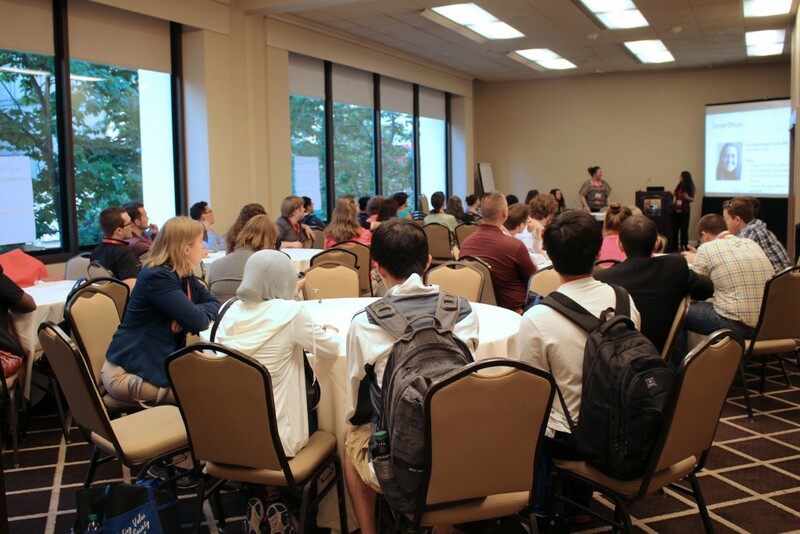 The 2014 best PIC and Zone paper presentations spanned a wide array of topics, including interactive virtual thermodynamics labs, promoting student creativity through problem-based learning, and perspectives on failure in elementary classrooms. 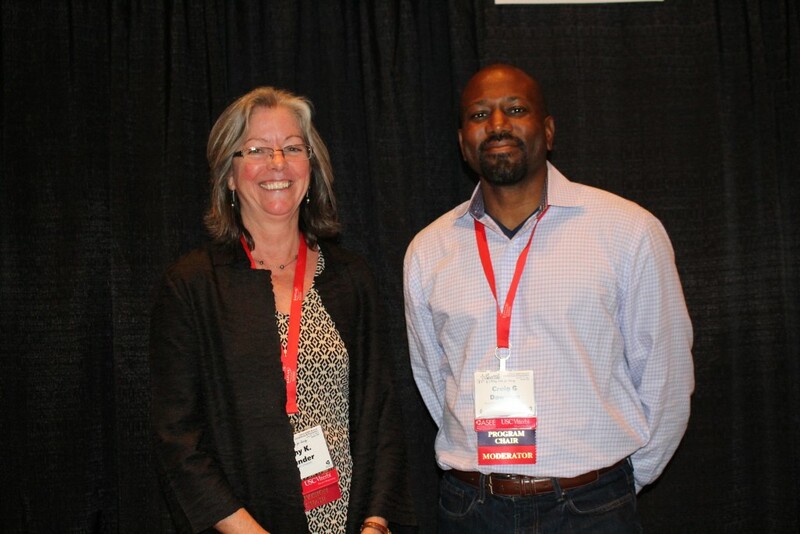 Outgoing ASEE President Nicholas J. Altiero concluded the conference by recognizing the following members of the ASEE Board of Directors whose terms continue for another year: Terri Morse, Vice President, Finance (re-elected for a two-year term); B. Grant Crawford, Vice President, Member Affairs; Randy Moses, Chair, Engineering Research Council; Ken Burbank, Chair, Engineering Technology Council; Adrienne Minerick, Chair, PIC I; Marjan Eggermont, Chair, PIC II; Sheryl Sorby, Chair, PIC III; Maura Jenkins Borrego, Chair, PIC IV; Lea-Ann Morton, Chair, PIC V; Navarun Gupta, Chair, Zone I; Ruby Mawasha, Chair, Zone II; Eric Wang, Chair, Zone IV; and Norman Fortenberry, Executive Director. He also thanked outgoing board members for their years of service: Kenneth F. Galloway, Immediate Past President; Bevlee A. Watford, Vice President, External Relations; Louis A. Martin-Vega, Chair, Engineering Dean’s Council, and Vice President, Institutional Councils; Diane Matt, Chair, Corporate Member Council; Suzanne Keilson, Chair, Zone I; and Charles McIntyre, Chair, Zone III. 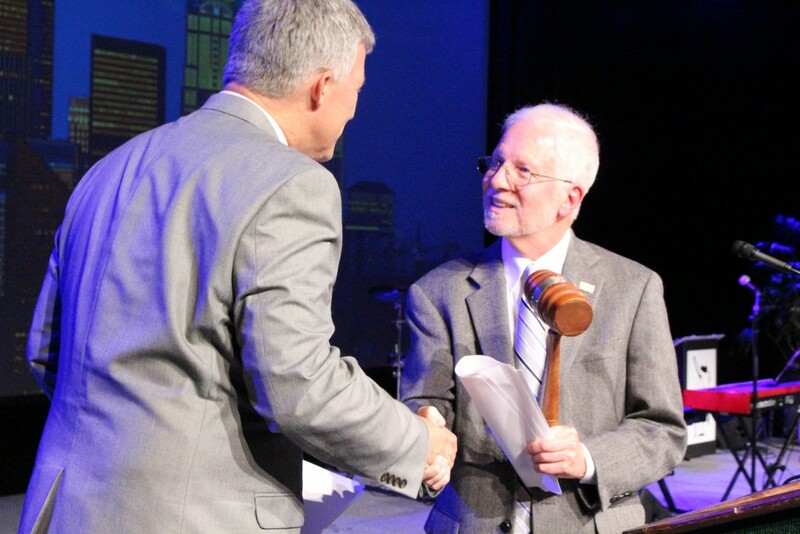 President Altiero then welcomed his successor, Joseph Rencis, president-elect Louis A. Martin-Vega, and incoming members of the ASEE Board of Directors for 2015/16: Catherine Skokan, Vice President, External Relations; Gerald Holder, Chair, Engineering Dean’s Council; Dan Sayre, Chair, Corporate Member Council, and Steve Watkins, Chair Zone III. Michelle Bersabal captured key moments throughout the day in photos. 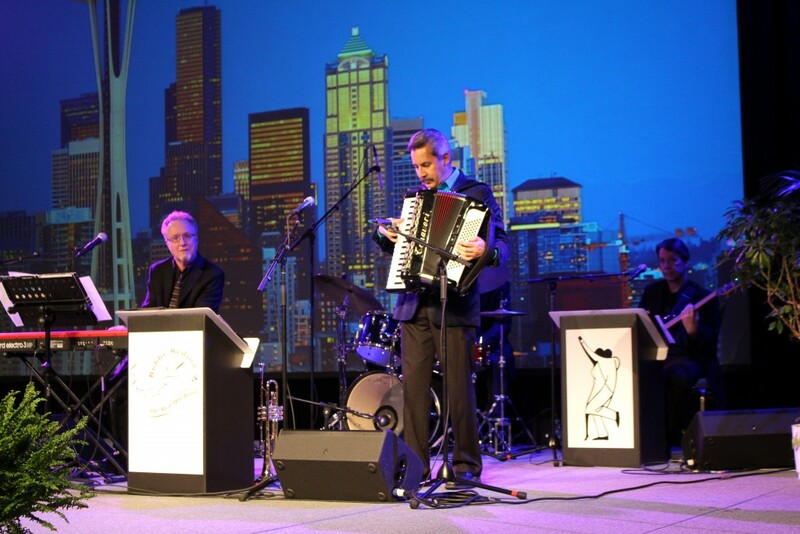 The final Conference Connection will reprise key events of the past five days in Seattle. This entry was posted in Uncategorized on June 17, 2015 by nnittoli. 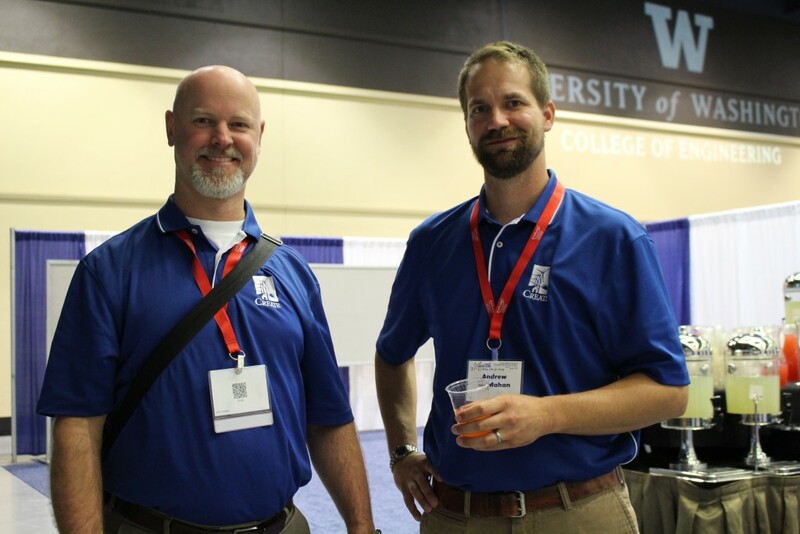 Our conference staff will be available at the registration desk in the Washington State Convention Center, Exhibit Hall 4AB, from 8 a.m. to 4 p.m. 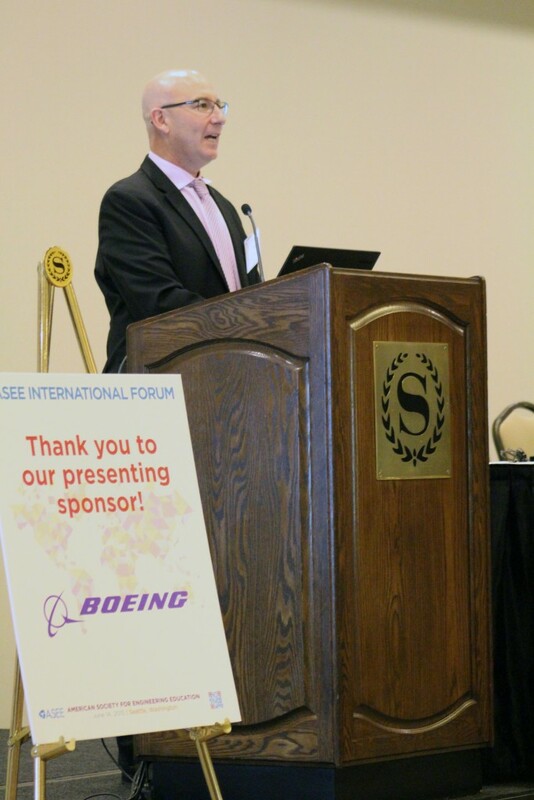 The Main Plenary II featured a keynote address by John Tracy, chief technology officer of The Boeing Company and senior vice president of Engineering, Operations & Technology, and recognition of the best 2014 conference papers. “Perspectives on Failure in the Classroom by Elementary Teachers New to Teaching Engineering,” by Towson University’s Pamela S. Lottero-Perdue and Elizabeth A. Parry of North Carolina State University, was recognized as the best overall conference paper (PIC) and “Investigating & Visualizing Measurement Error for Novice STEM Learners,” by Scott A. Sinex of Prince George’s Community College in Largo, Md., was best overall Zone paper. 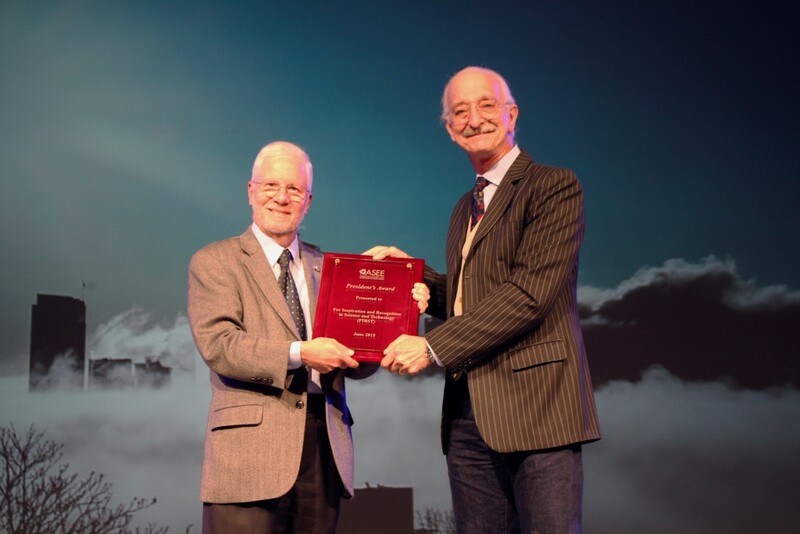 Robert M. Brooks, associate professor of civil and environmental engineering at Temple Univeristy, was recognized as the winner of the 2015 Outstanding Teaching Award. Congratulations to Elizabeth Parry as she receives the Presidential Award for Excellence in Science, Mathematics, and Engineering Mentoring (PAESMSEM) this afternoon! Blessings to her and her family as she receives this much deserved recognition! 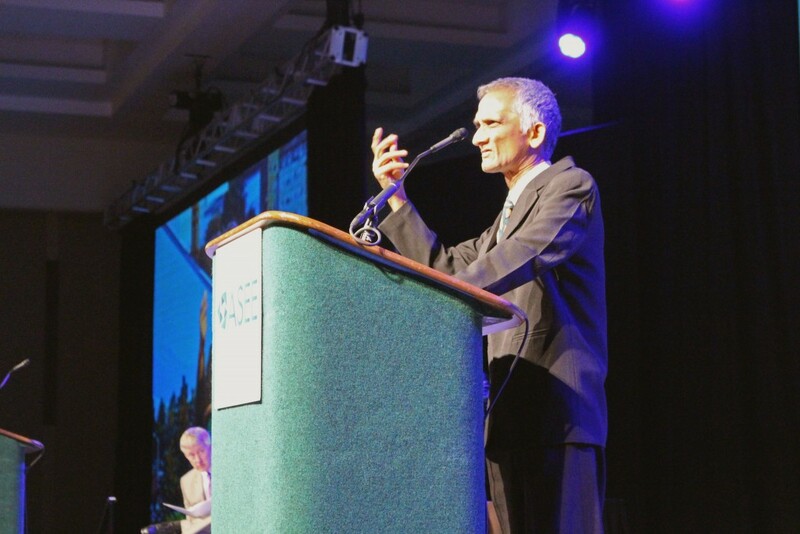 I was inspired by bright students receiving awards at the Plenary session on Monday. Start the day bright and early at 7 a.m. with two sessions on the burgeoning field of K-12 engineering: Exploring High School Engineering Initiatives (Sheraton Seattle, Medina); and Integrating Engineering Across the Curriculum with the arts, social studies, science, and Common Core literacy and math standards (Sheraton Seattle, Kirkland). 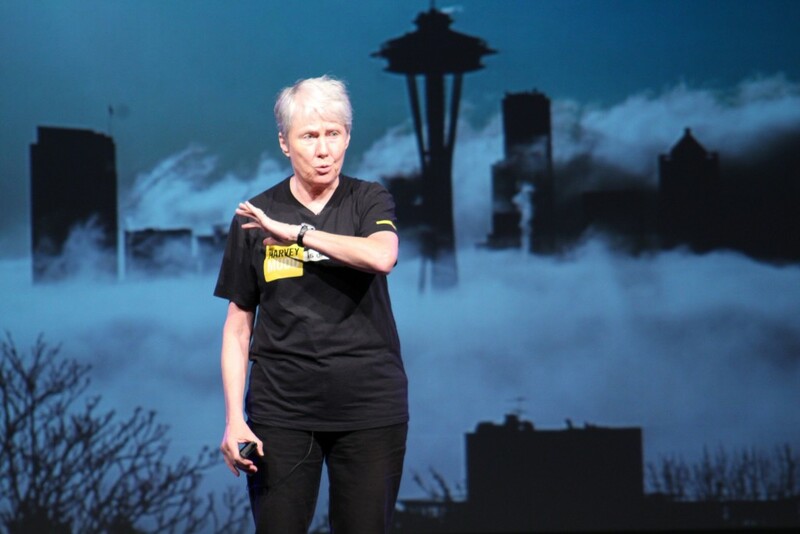 The last Safe Zone/Positive Space Ally trainings (Washington State Convention Center, room 309) also start at 7 a.m., with level 2 training at 12:30 p.m. and final training from 4 to 5:30 p.m.
Wednesday’s highlights include seven Distinguished Lectures, all from 10:30 a.m. to noon, covering a range of important topics. They include: To and Through: Creating an Ecosystem of Achievement for College Success (Washington State Convention Center, Room 608) by Karl Reid, executive director of the National Society of Black Engineers; a panel of academic and industry experts discussing manufacturing and Unifying the Enablers for Innovation and the Talent for Making Value for America (Washington State Convention Center, Room 604); and a look at the National Academies report on the career choices of women in engineering (Washington State Convention Center, Room 612) by Alice Merner Agogino, the Roscoe and Elizabeth Hughes Professor of Mechanical Engineering at the University of California, Berkeley. 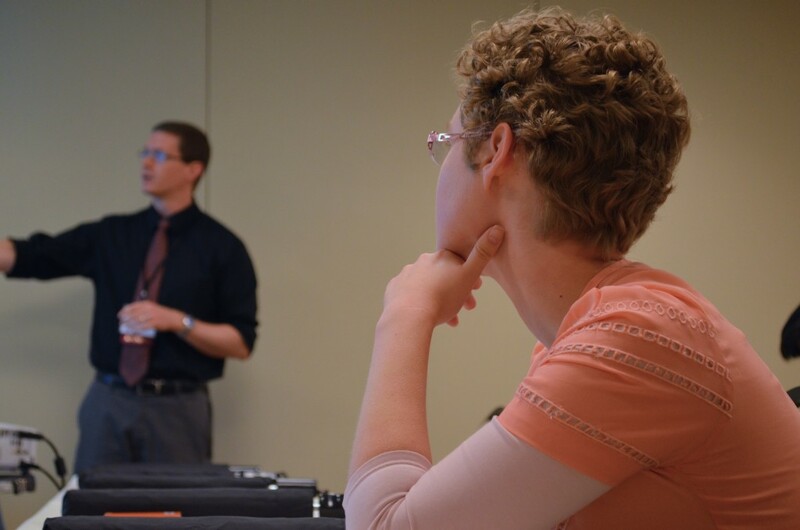 Other sessions explore the Internet of Things (presented by Parametric Technology Corp. in room 611), the best papers from PICs and zones, and a framework for catalyzing change in engineering education. 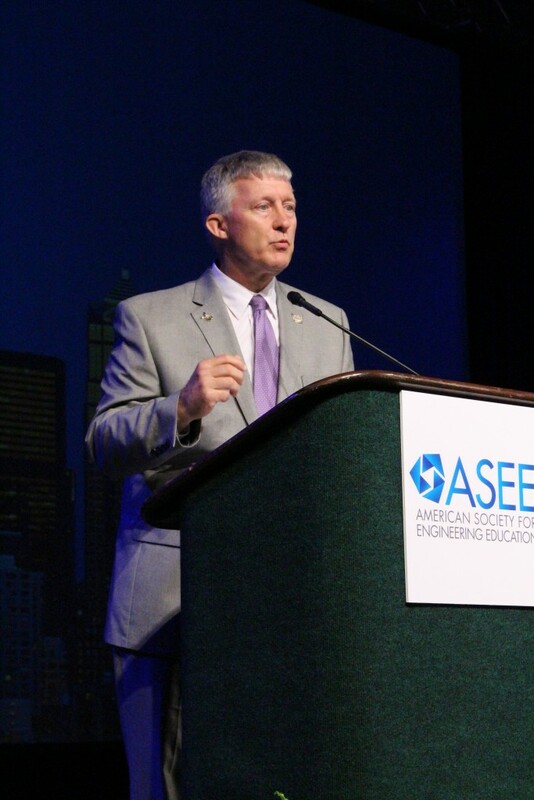 ASEE President Nicholas J. Altiero hosts a Farewell Reception sponsored by Dassault Systèmes and Lockheed Martin (6 to 7:30 p.m., Convention Center Ballroom 6ABC). Come chat with him and with President-elect Joseph Rencis and others at this event that closes the 2015 Annual Conference. Reimagining Engineering Information Literacy: Novel Perspectives on Integration, Assessment, Competencies, and Information Use 7 to 8 a.m., Sheraton Seattle, Grand Ballroom A. Badging your way to information literacy and the integration of information literacy skills into mechanical engineering capstone projects are among the presentations in this session moderated by Greg Tourino. How Can We Help? 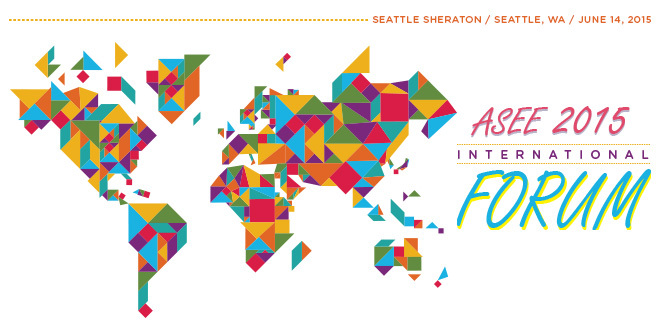 7 to 8:30 a.m., Sheraton Seattle, Ravenna A. 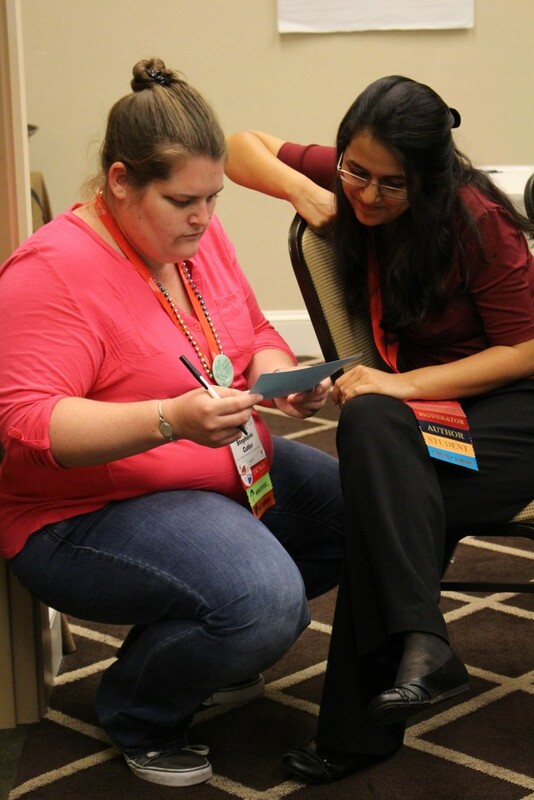 This panel moderated by Scottie-Beth Fleming and Anastasia Marie Rynearson is focused on identifying ways in which ASEE Student Chapters may develop to meet the diverse needs of students located at various campuses across the nation and further integrate them into the ASEE community. What do practitioners of the “drunken fist” style of Chinese martial arts have in common with those implementing innovative teaching techniques? Find out in Zui Quan Pedagogy – the Art of Risk Taking in the Classroom, a special session with four faculty members from Embry-Riddle Aeronautical University. 8:45 to 10:15 a.m., Washington State Convention Center, Room 304. Focus on Student Learning, Lifelong Learning, and Educating the Whole Student 8:45 to 10:15 a.m., Washington State Convention Center, Room 608. 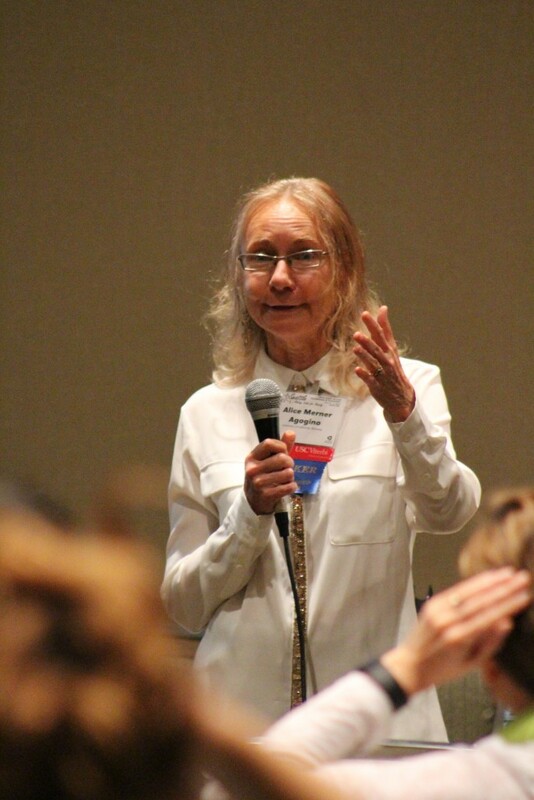 Avenues for using the Grand Challenges, common reading programs, and other holistic approaches to creating the lifelong learners we all hope first-year students will become are presented in this First-Year Division technical session moderater by Susan McCahan. 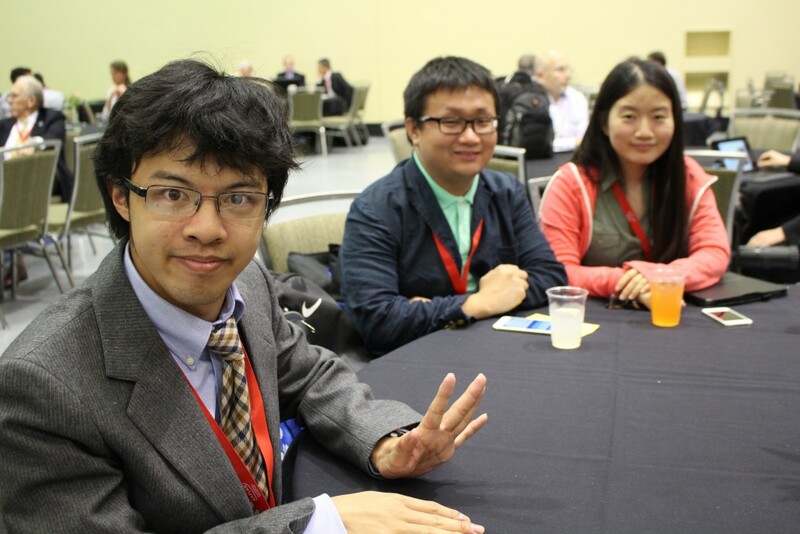 Prism columnist and Purdue University engineering education graduate student Mel Chua is among the panelists addressing diversity-related challenges in this A Year of Action on Diversity session, 8:45 to 10 a.m., Washington State Convention Center, Ballroom 2A. 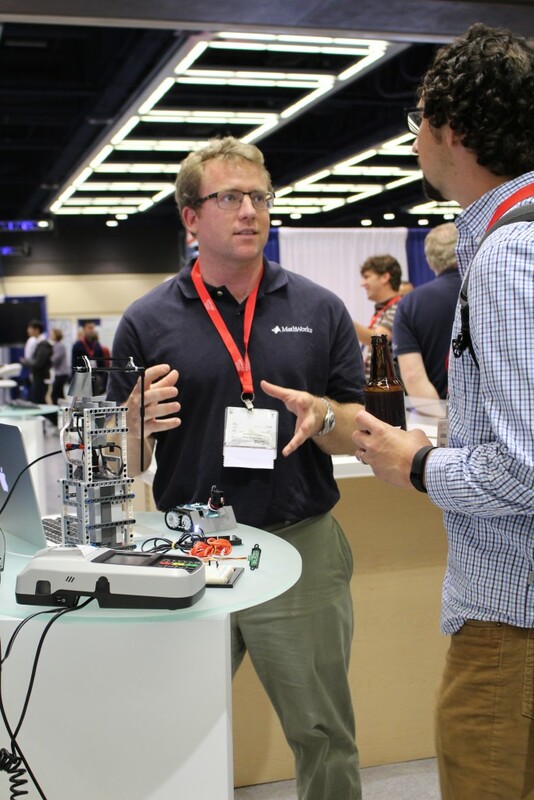 Makerspaces in the Library: Using 3-D printers, Laser cutters, and Kits to Enhance Learning 12:30 to 2 p.m., Washington State Convention Center, Room 604. FabLabs and outreach program collaborations are among the topics covered in this session moderated by Brianna Buljung. Shell Eco-Marathon Americas: Supermileage Challange for High Schools and Universities, 12:30 to 2:00 p.m., Washington State Convention Center, Room 607. 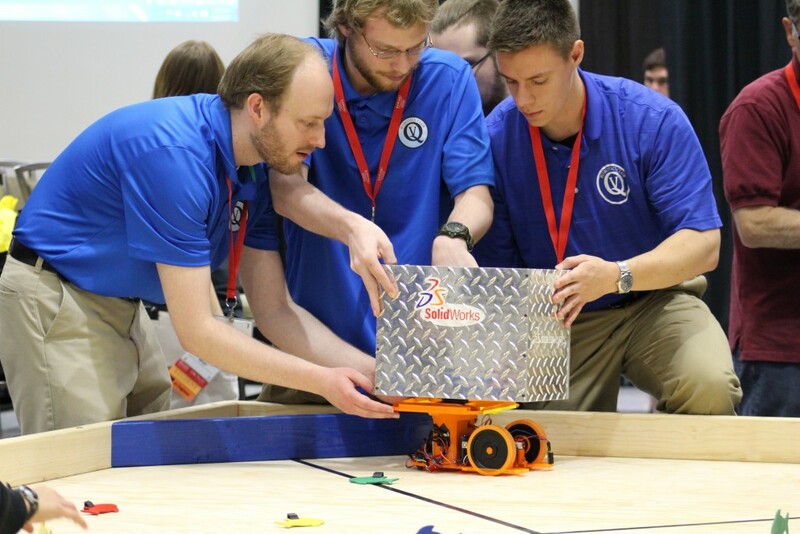 Presenters in this sponsor technical session will provide an overview of key principles, challenges, and benefits of a program that attracts over 500 universities and more than 10,000 students worldwide to build a vehicle that achieves over 8,000 miles per gallon. “Ta-Da! 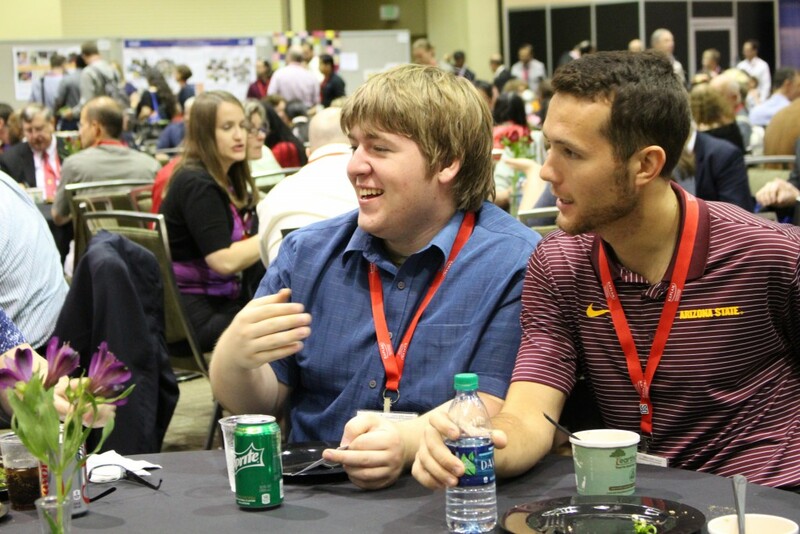 You’re a Design Thinker!” leads this session on Design Pedagogy, 12:30 to 2 p.m., Washington State Convention Center, Room 602. Moderated by Marie C. Paretti and Wendy S. Reffeor, this session cover topics from the University of Massachusetts, Lowell’s restructuring of its first-year introduction to engineering sequence to the hopes and concerns of students, faculty, and parents entering the inaugural yaer of an interdisciplinary, hands-on, competency-based learning experience. 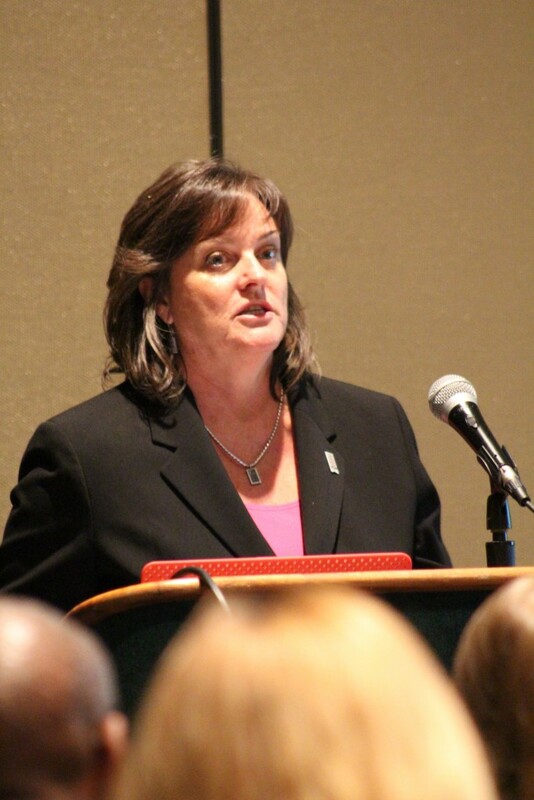 Achieveing Scale of Educational Innovations 12:30 to 2 p.m., Washington State Convention Center, Room 603. The panel moderated by Ann F. McKenna brings together several groups and initiatives focused on fostering an entrepreneurial mindset to advance the scaling and sustainability of educational innovations, including Epicenter, I-Corps L, the National Science Foundation, and VentureWell. 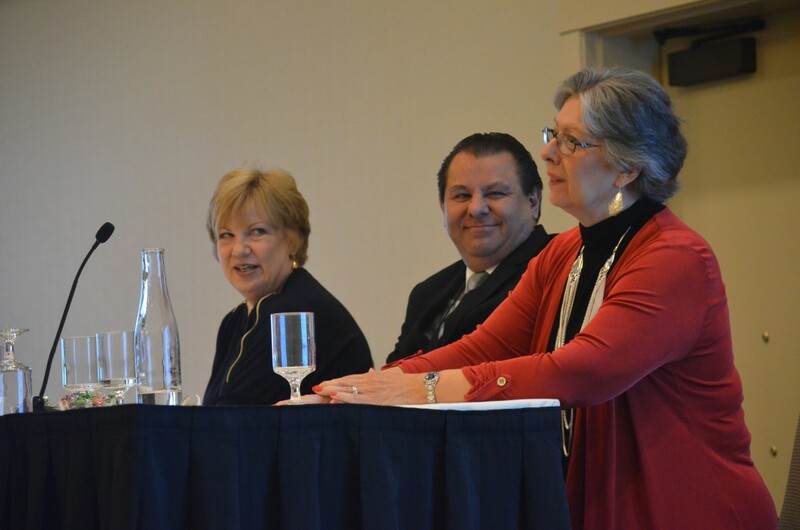 Student Recruitment and Retention in ET Programs 7 to 8:30 a.m., Sheraton Seattle, Leschi. Moderated by Stephen A. Strom, this session looks at design, industrial projects programs, and other ways to enroll and retain engineering techology students. 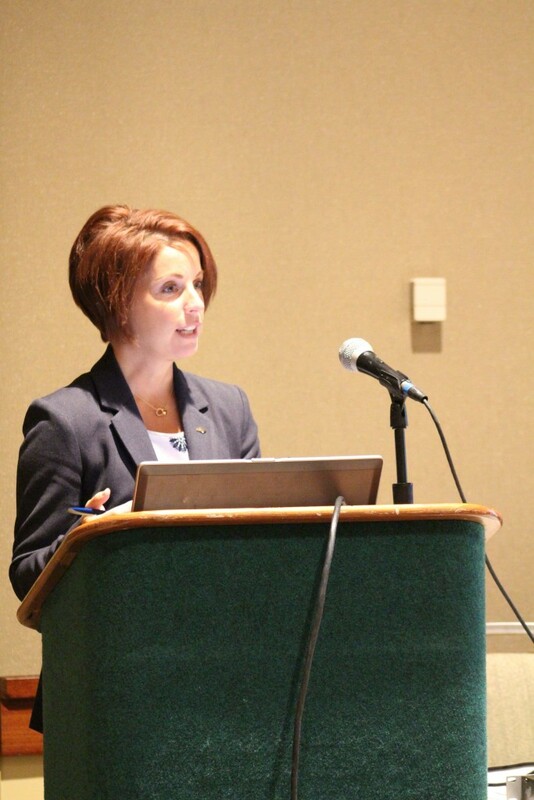 Retaining and Developing Women Faculty in STEM 7 to 8:30 a.m., Washington State Convention Center, Room 618. 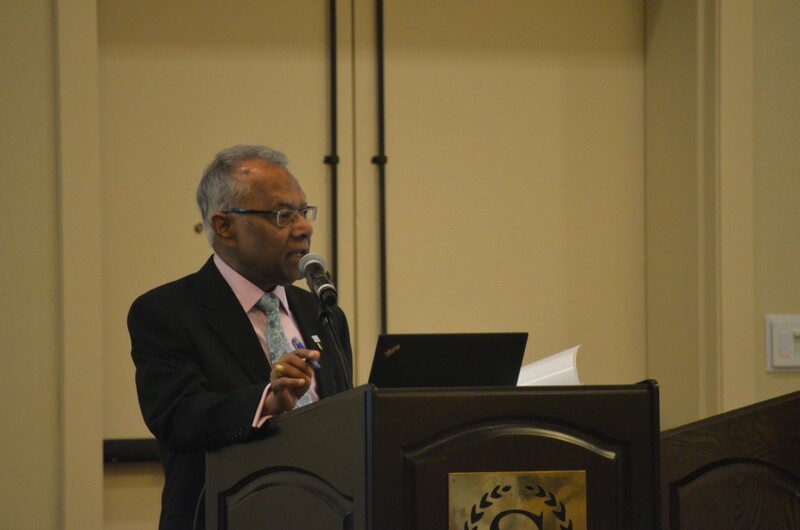 Moderated by Jenahvive K. Morgan, this session examines the impact of work/life balance policies on faculty careers, the story of one NSF ADVANCE project, and aspirations vs. shoulder tapping in engineering leardership. First-Year Progreams Division Technical Session 10: Paying Attention to Retention 2:15 to 3:45 p.m., Washington State Conventions Center, Room 608. LeTourneau University’s first-year attrition survey – “Why Do They Say They Are Still Leaving?” – and a look at the impact of living-learning communities are among the presentations in this session moderated by Chester Levern Miller, Jr.
“Lawnmowers and Prospective Engineers: A Recruitment Exercise” is one of four presentations on this panel moderated by Charles E. Baukal, Jr.
“Innovating Engineering Curriculum for First-year Retention” is among the panels in this First-Year Programs Division technical session moderated by Denise H. Bauer. This entry was posted in Uncategorized on June 16, 2015 by nnittoli. 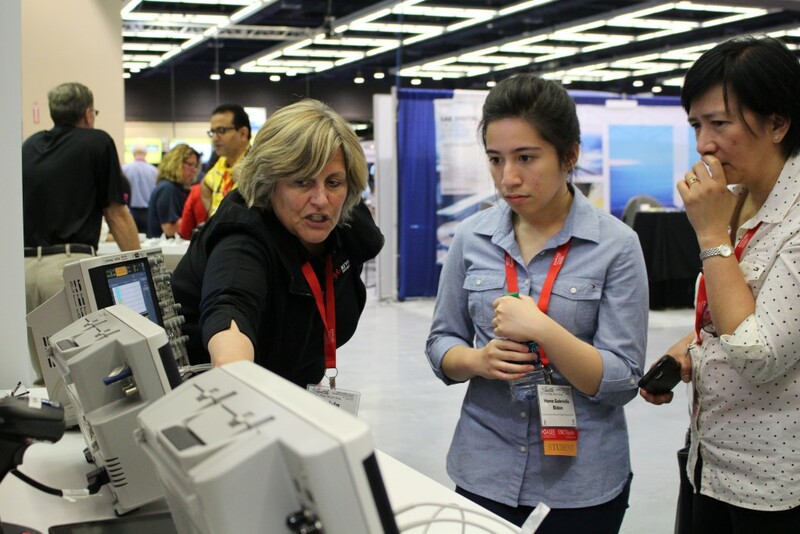 The registration desk in the Washington State Convention Center, Exhibit Hall 4ABC, is open from 8 a.m. to 5 p.m.
Complimentary Wi-Fi is provided near the Information Kiosk in the South Lobby but high numbers of users mean service can be unreliable. 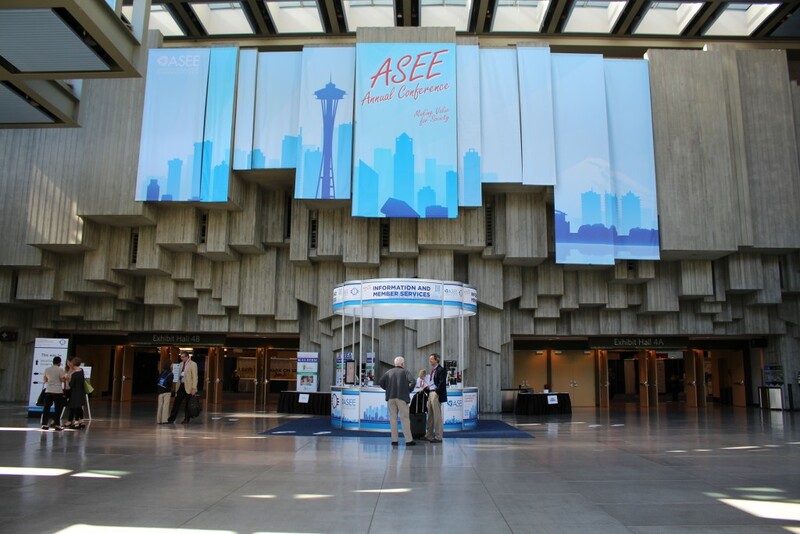 ASEE has negotiated a discounted daily rate of $12.95 per person/per device at the Convention Center (originally $79/day). Free Wi-Fi zones can be found in some downtown public areas, including Seattle Center and many cafés. 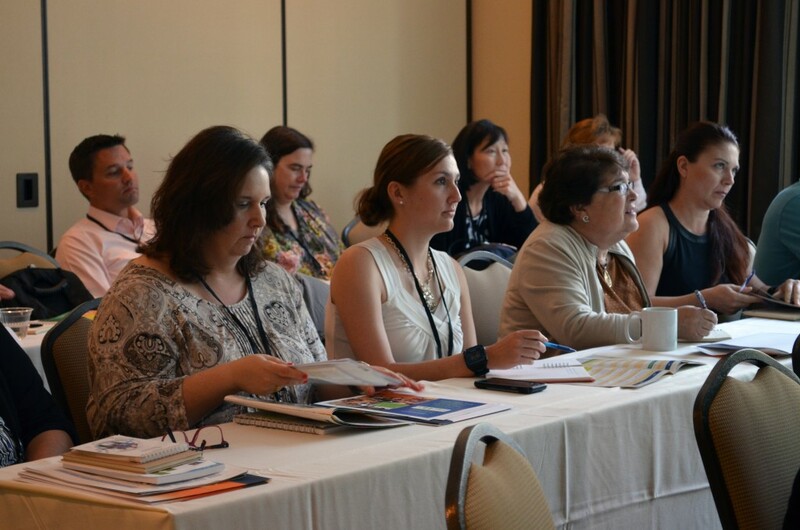 For titles, times, and locations of all workshops and other events, visit the online session locator. 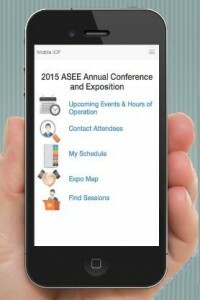 Better yet, use ASEE’s Interactive Conference Planner for mobile devices at www.asee.org/icp. Every time you search for, add, rate, or comment on a session, you’ll automatically be entered to win a $50 Amex Gift Card! Watch the ASEE YouTube video to learn how to make the most of the app. Click HERE for session changes for Tuesday, June 16. Enjoy a particular session, event, or experience? 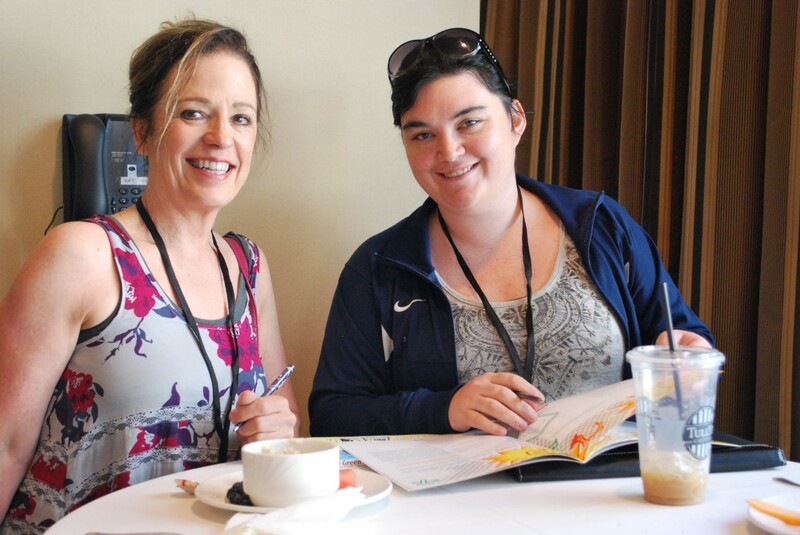 Jot a shout out to share on the daily Conference Connection blog! 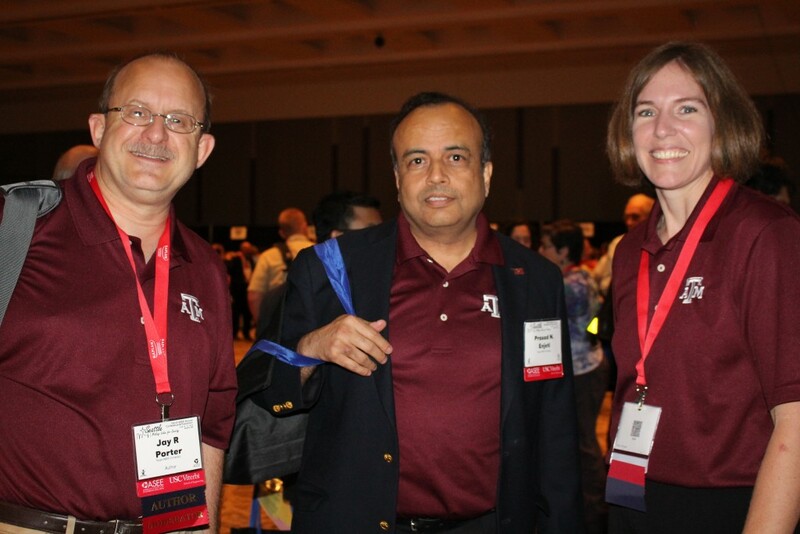 Comments can be left in the boxes at the registration desk and South Lobby or emailed to shoutout@asee.org. 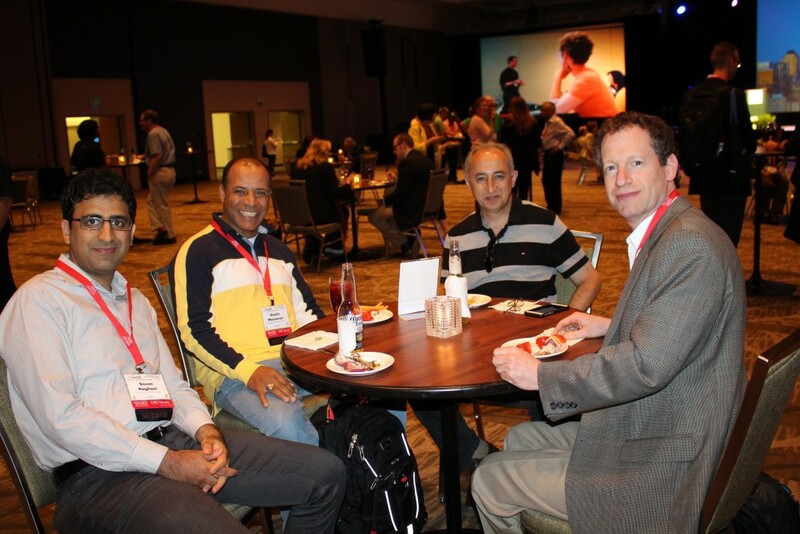 Exclusive offer: Renew your membership during the annual conference and save 5% a year for up to three years. Visit Tonya at ASEE’s Information Kiosk during registration hours and she will process your renewal immediately. Local delights. Enjoy group rates to a Mariners game and discounts at unique-to-Seattle clothing stores and other establishments – exclusive for ASEE conference attendees! Click HERE for details. How Tweet! 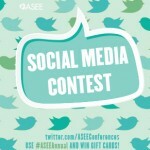 Win gift cards in ASEE’s Social Media Contest. Post selfies with the executive director, answer daily trivia questions, and more! 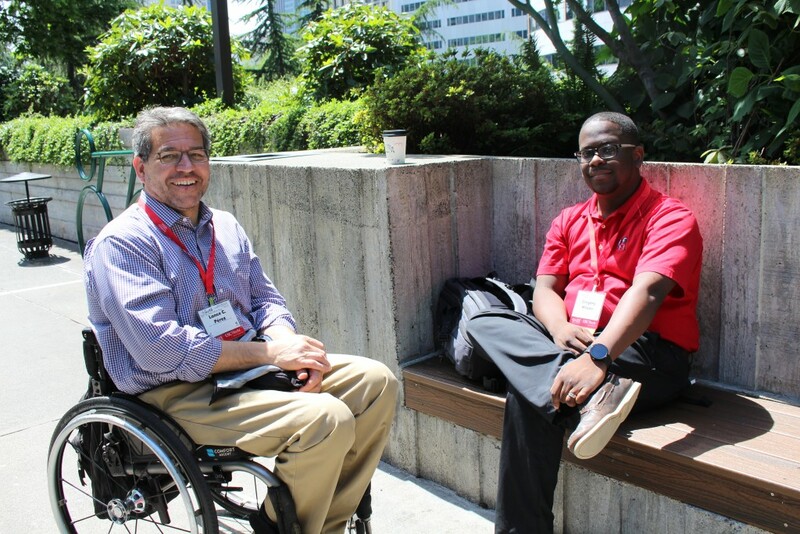 Use #ASEEAnnual to share thoughts on the conference and connect. Follow @ASEEConferences for more information. Parker Owen, from Mobile, Ala., 2013 winner of the FIRST Future Innovator Award for his invention of the Cycle-Leg, an inexpensive prosthetic made from a single recycled bicycle. 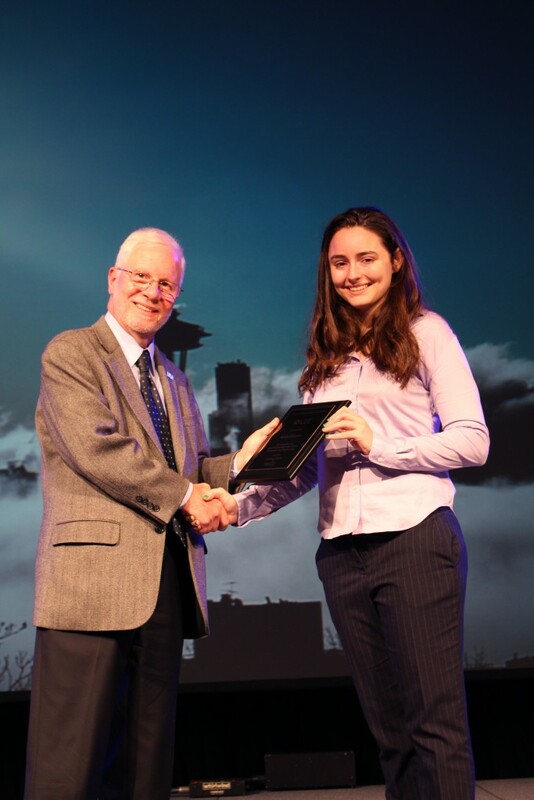 Kalia D. Firester, from New York City, 2015 Intel Science Talent Search winner of the Second Place Medal of Distinction for Global Good for a research project on how a protein produced by crop-destroying nematodes interacts with a plant’s cells and defenses, potentialy contributing to engineering natural immunity to a pest that costs global agriculture $100 billion annually. 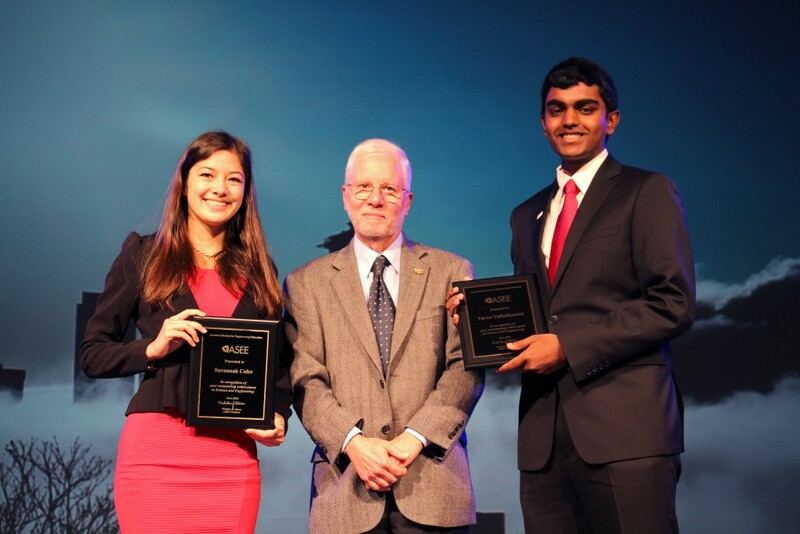 Savannah Cofer and Varun Vallabhaneni, from Gahanna, Ohio, were 2014 Conrad Spirit of Innovation Challenge winners for their device to ameliorate hand tremors. 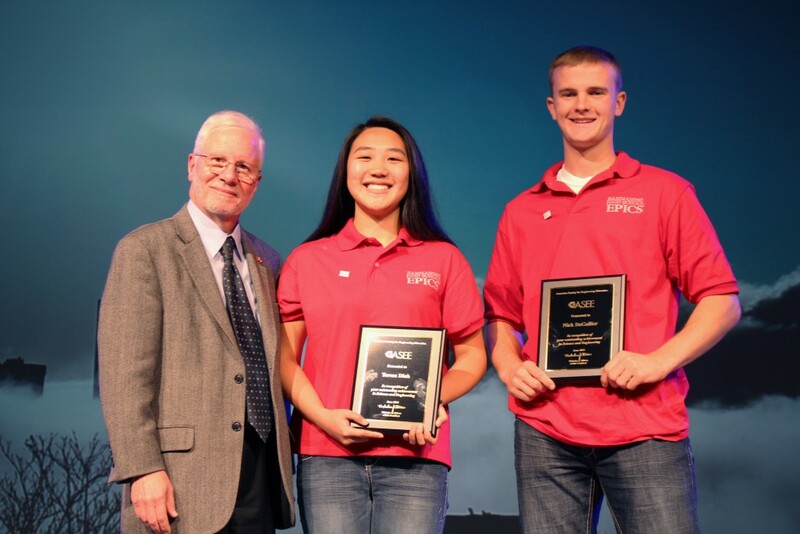 Teresa Dinh and Nick DeGallier, from Bellevue, Wash., received the 2015 EPICS/ASEE K-12 Student Award for the Engineering Programs in Community Service (EPICS), Purdue University. Hana Gabrielle Bidon, from Hamden, Conn, won the 2014 Igor Sikorsky Youth Innovator Award in the By Kids For Kids – Sikorsky Helicopter 2050 Challenge with her Skylift 968 helicopter design made from recycled fiber. 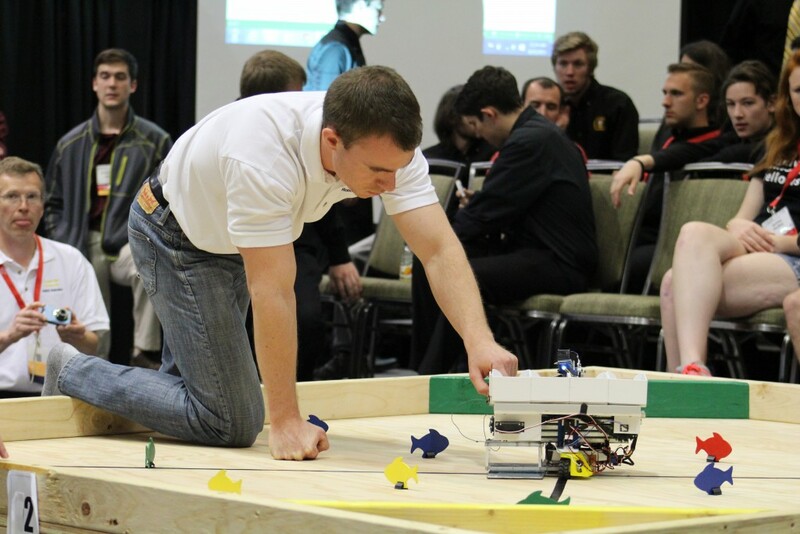 Fishing Derby and robotics fans cheered on student teams as they trolled for fish in the Two-Year College Division’s annual competition. Monday wrapped up with the annual Awards Ceremony. 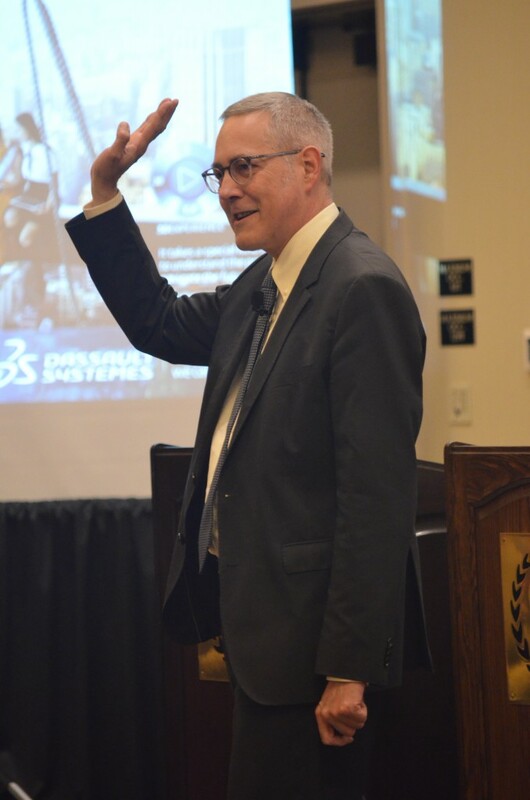 Sponsored by Dassault Systèmes, the event recogned national and Society award winners, new ASEE Fellows, best paper authors, and the 2015 National Outstanding Teaching Award recipient, Robert M. Brooks. 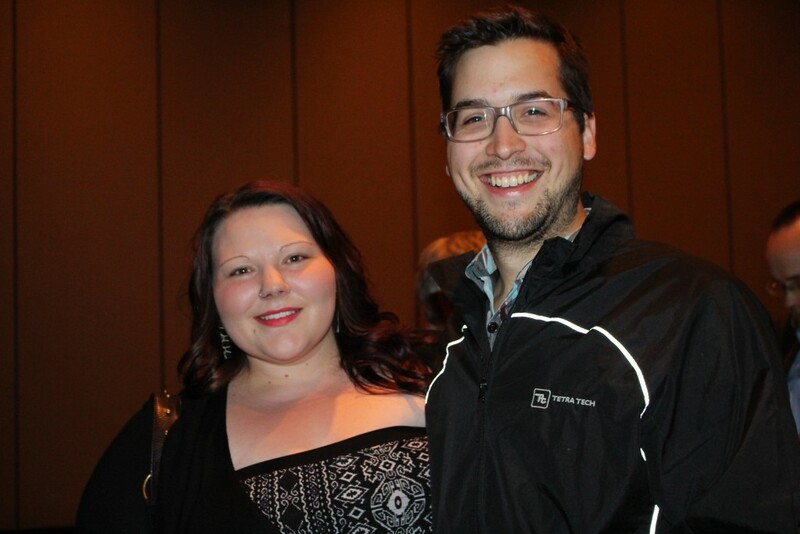 Click HERE for a .pdf of the Awards Ceremony program and list of recipients. 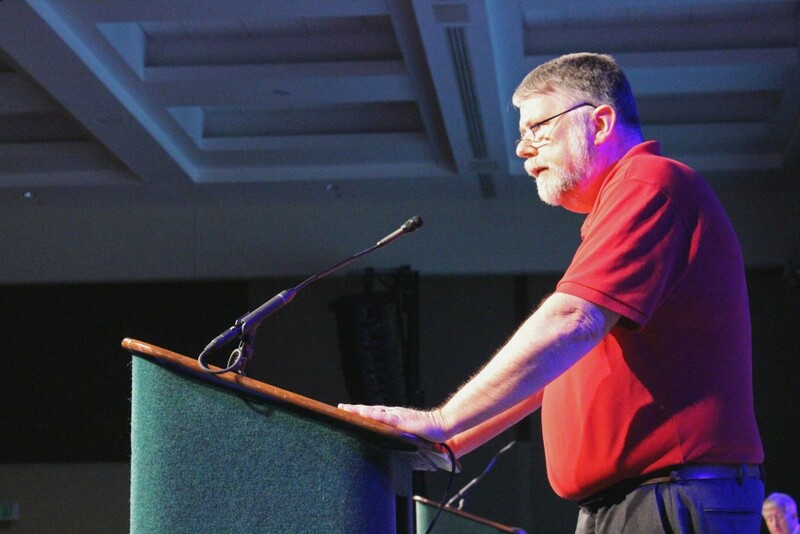 The Main Plenary II gets underway from 10:30 to 12:15 p.m. at the Washington State Convention Center, Ballroom 6ABC with a keynote address by John J. Tracy, chief technology officer and senior vice president of Engineering, Operations & Technology at The Boeing Company. 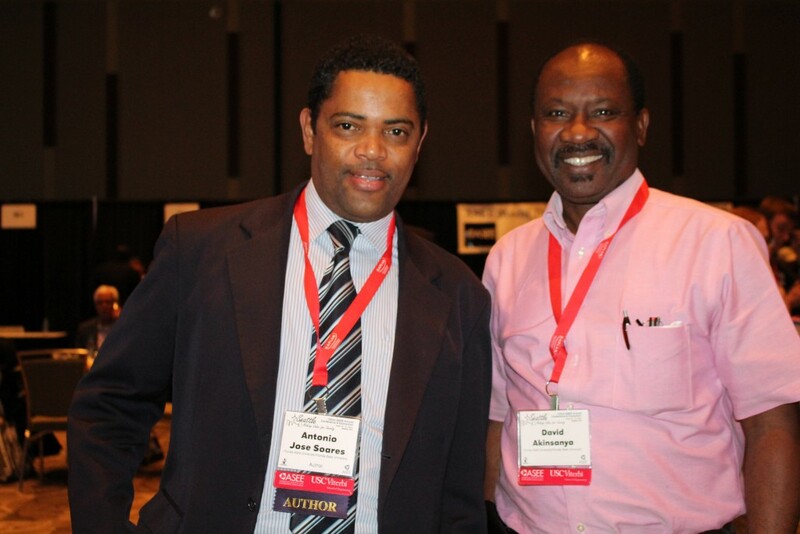 ASEE’s 2014 Best Paper authors and the 2015 Outstanding Teaching Award winner, Robert M. Brooks of Temple University, also will be recognized. 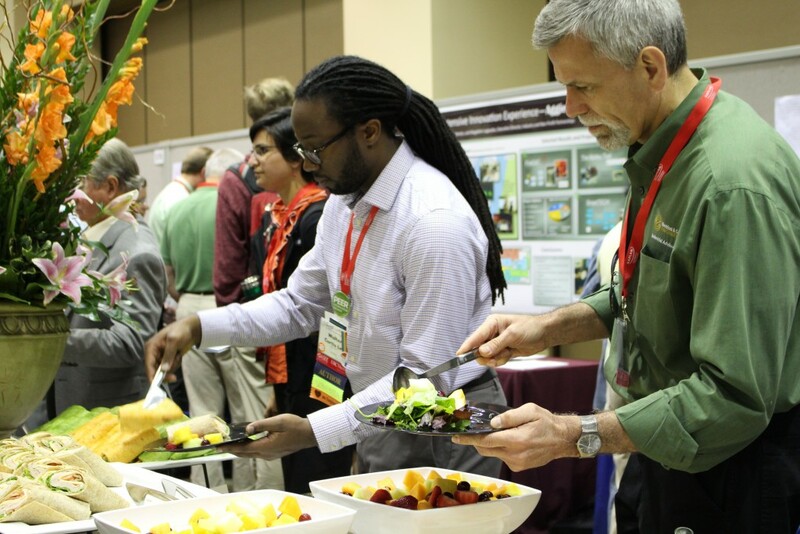 Don’t miss the Focus on Exhibits Lunch and ASEE Divison Poster Sessions, sponsored by Northrop Grumman, from 12:30 to 2:00 p.m. in Exhibit Hall 4ABC. If there’s a booth you’ve yet to explore, this closing Exhibit Hall session will be your last chance. 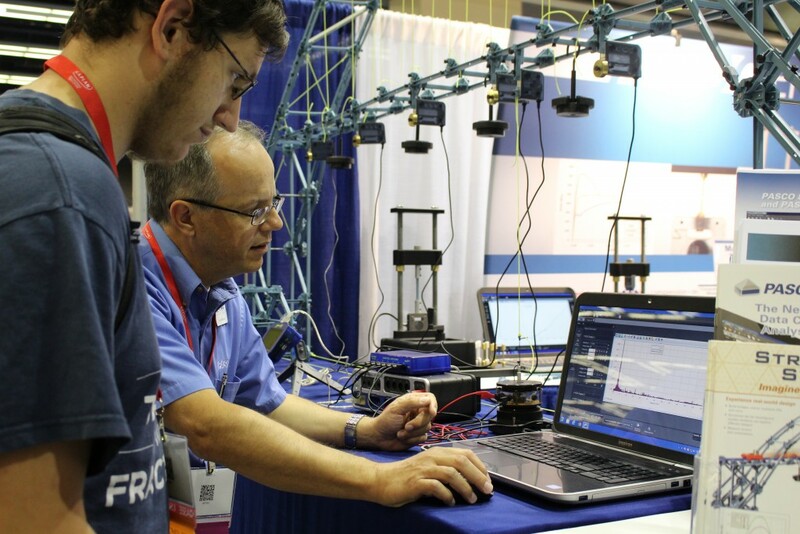 Also check out the Manufacturing Engineering Division’s interactive Make It! session featuring 19 fascinating maker projects, including a 3-D printer made from e-waste, a one-hour robot, and the Twisted Sister Rover. 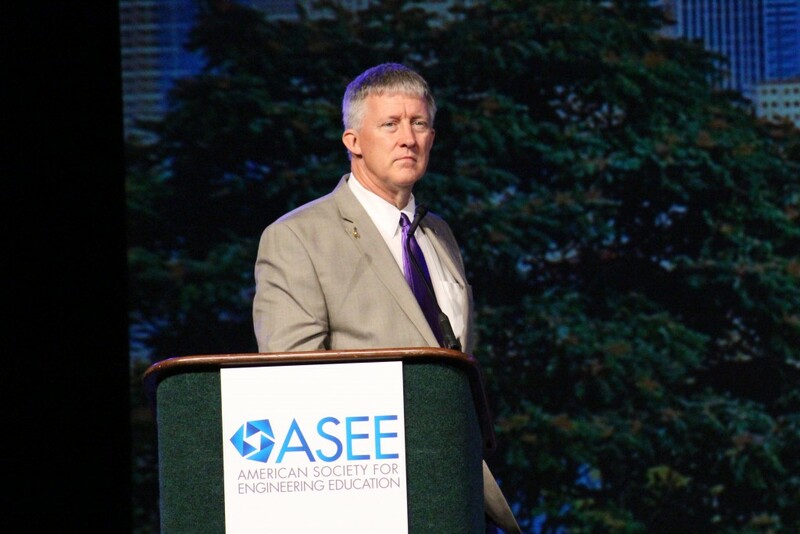 Help shape ASEE’s future! What would you like the Society to be? 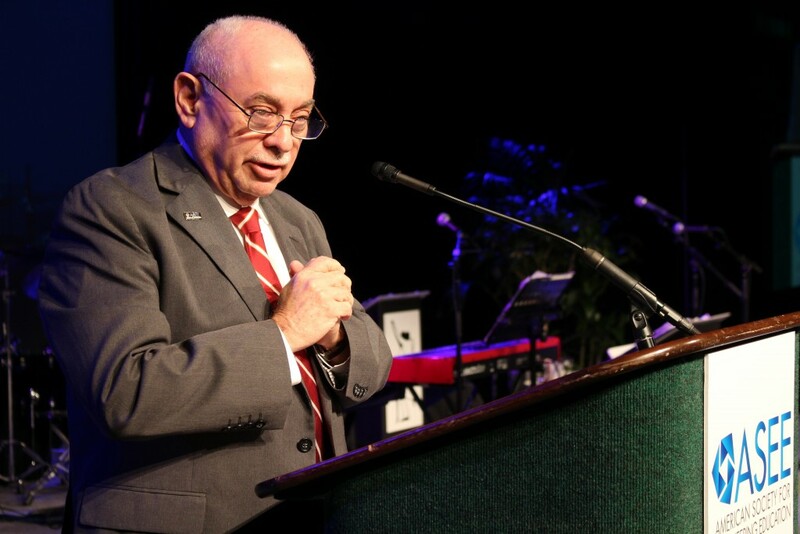 Join ASEE’s senior leadership – President Nick Altiero, President-elect Joe Rencis, Immediate Past President Ken Galloway, and incoming President-elect Louis Martin-Vega – at the Innovation Pavilion from 12:30 to 2 p.m. for this special overview and feedback session on ASEE’s Strategic Doing process and draft plan, Attendees can particpate in a small group activity to identifying potential strategic projects. If you have time, drop by ASEE’s editorial table in the atrium to see the range of publications – from Prism to the Journal of Engineering Education to K-12 outreach materials – and chat with the editors. Exclusive Field Trip. Spend the afternoon touring Boeing’s Seattle facility plant from 2:15 to 6 p.m. This ticketed event ($10 advanced and $25 on-site registration) will depart from the convention center’s Info Kiosk outside of the Exhibit Hall. 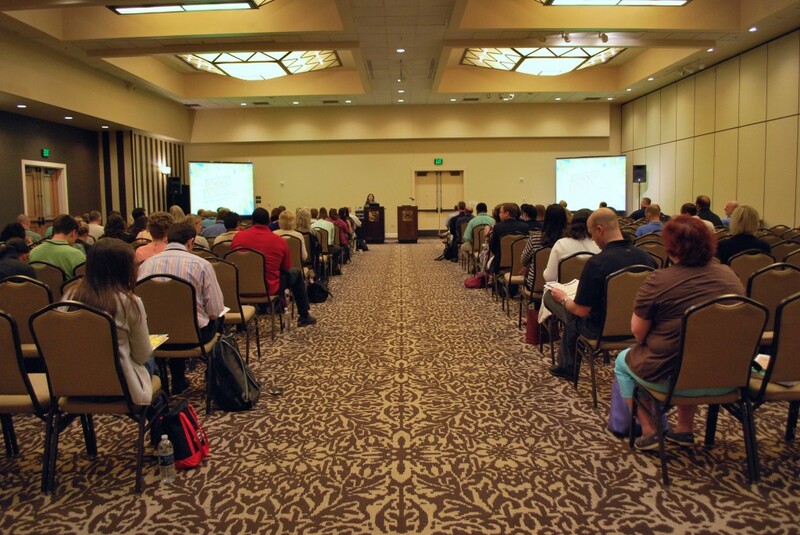 How to Write an NSF Grant 7 to 8:30 a.m., Washington State Convention Center, Room 201. 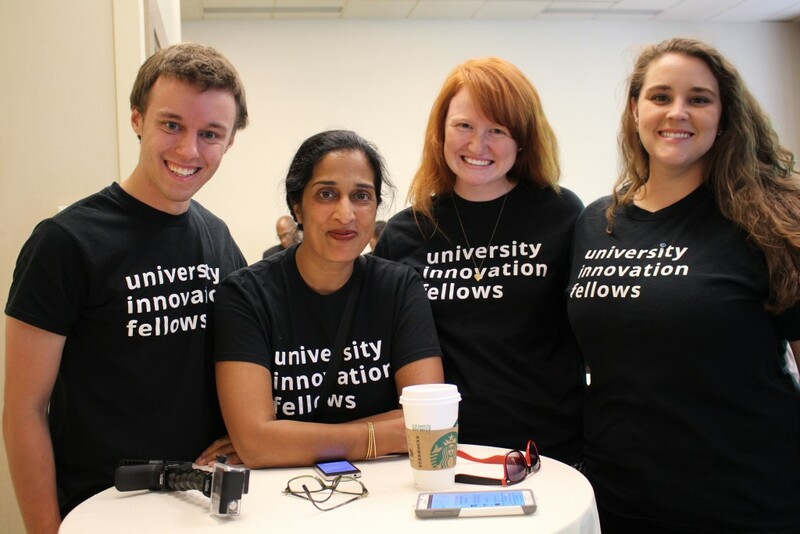 Planning to apply for NSF grants as a student or junior faculty member? Increase your chances of success by learning the “how to’s” of proposal writing from NSF Program Officer Donna Riley. Bring your research ideas and expect to leave the session with a working draft of an NSF one-page summary for their future research topic. A Virtual Community of Practice for Developing and Implementing Evidence-based Pedagogies 8:45 to 10:15, Washington State Convention Center, Room 620. 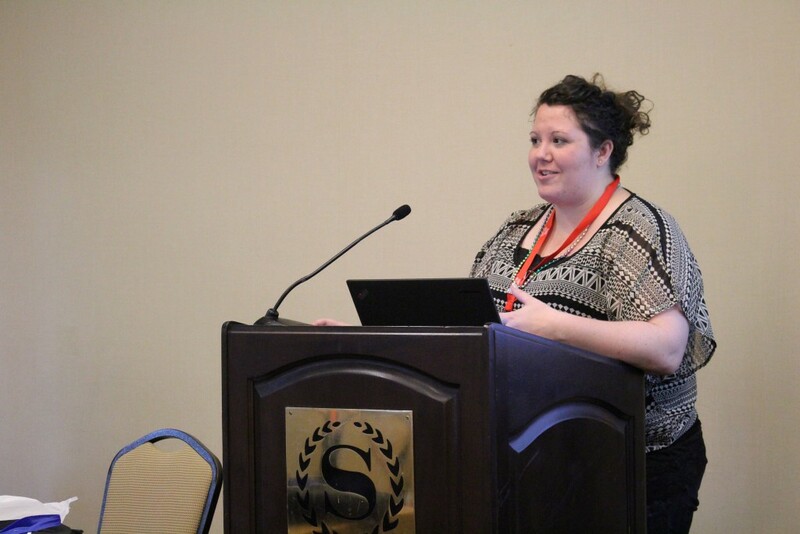 Moderated by Stephen J. Krause and Stephanie Farrell, this session presents an overview of the NSF-sponsored ASEE Virtual Community of Practice (VCP) program followed by broader conversations to consider how attendees might introduce research-based instructional strategies in their classes. ASEE-wide Session on Engineering and Liberal Education Integration 8:45 to 10:15 a.m., Sheraton Seattle, Redwood A. Moderated by Shane Cotter and Atsushi Akera, this panel on best practices responds to a working-group ecommendation from the 2014 Interdivisional Town Hall Meeting to embed discussions about general education into the program of other ASEE divisions. 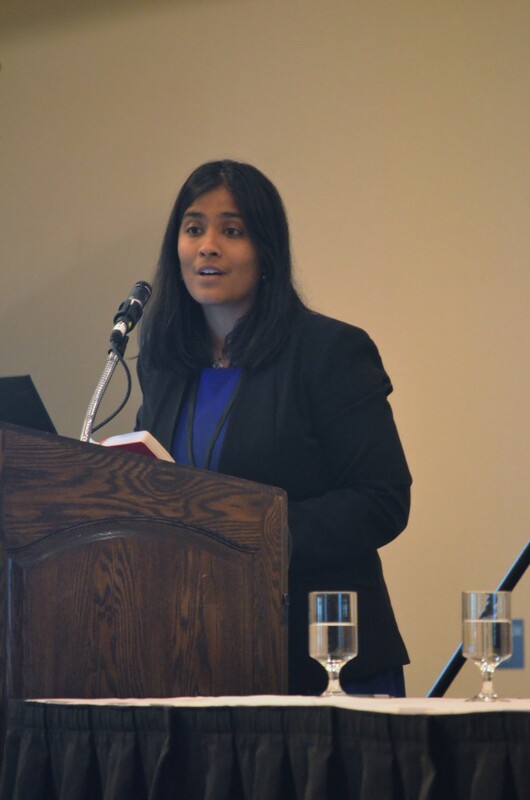 Defining the “Moonshot” Strategies that Transform Undergraduate Engineering Education 12:15 to 2 p.m., Sheraton Seattle, Grand Ballroom A. This session on addressing the NAE’s Grand Challenges will bring ASEE members together to generate radical strategies that have the potential to accelerate transformation – what GoogleX engineers call “moonshot thinking,” or 10x versus 10% change. 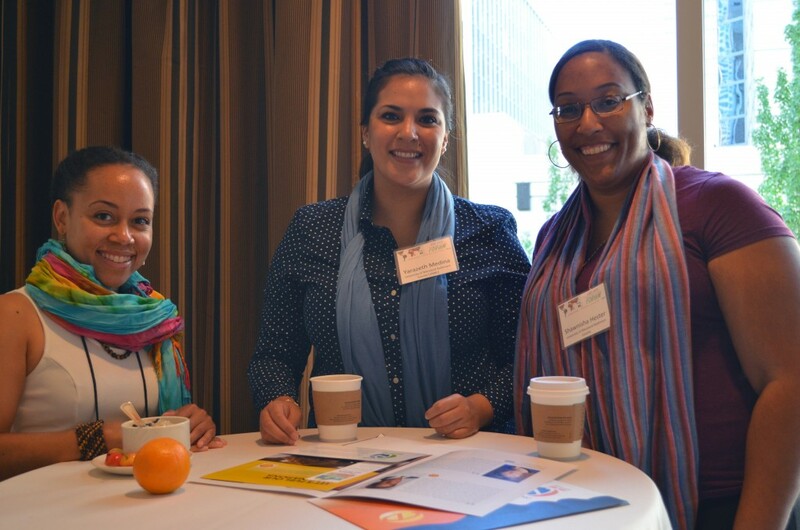 Speakers include NAE’s Jenna Carpenter, NSF’s Bevlee Watford, and ASEE’s Rocio Chavela. 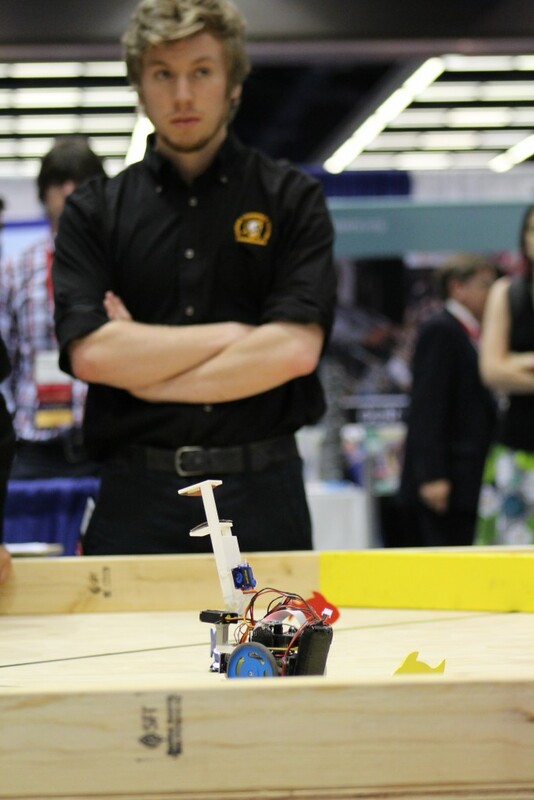 Engaging Young Engineers through Invention Education 2:15 to 3:45 p.m., Washington State Convention Center, Ballroom 2B. This technical session presented by the Lemelson Foundation brings together educators, a student, and leaders in the field of invention education to explore the uniquely engaging approach to engineering education that asks students to identify problems worth solving and then to apply engineering skills to invent tangible products that can be used to create successful businesses and make a positive impact. Innovation through Propagation: Determining an Engineering Education Research Agenda This special session moderated by Larry J. Shuman, senior associate dean for academic affairs and founding editor of Advances in Engineering Education, will focuse on accomplishments and innovations that have occurred over the past decade or so that have lasting value in engineering education – and to what extent those innovations been propagated? 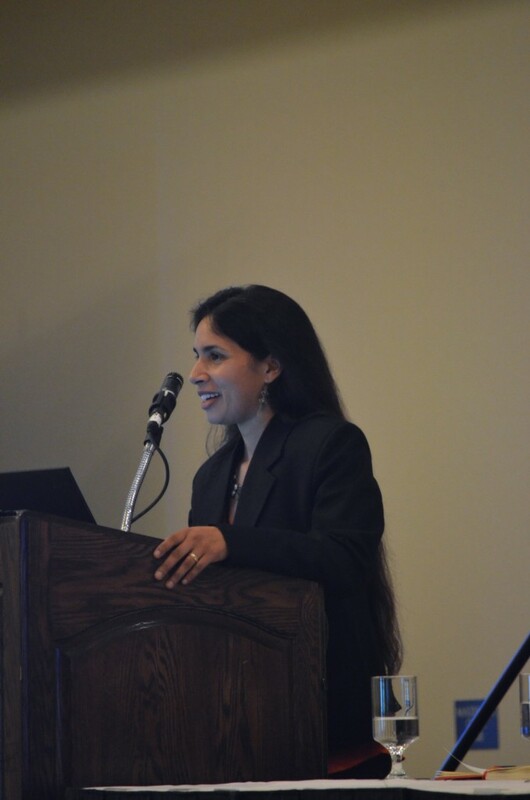 Using the FE Exam for Effectuve Outcomes Assessment 7:00 to 8:30 a.m., Washington State Convention Center, Room 607. 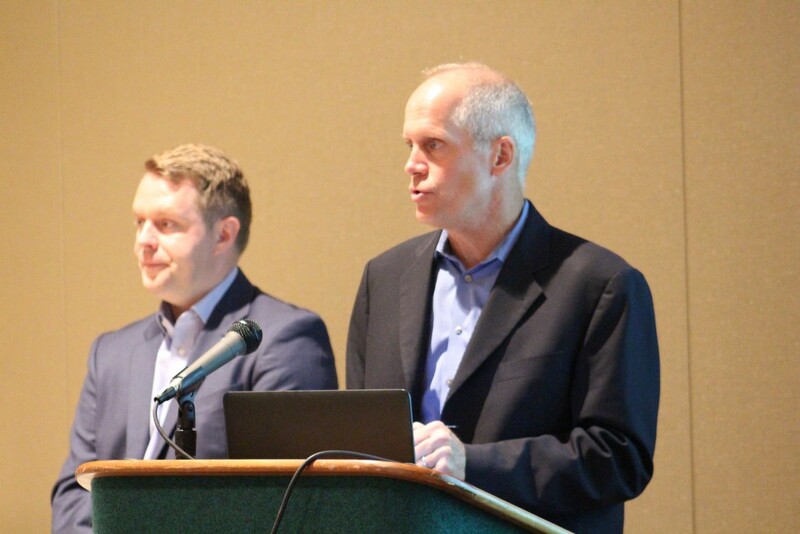 In this technical session sponsored by NCEES, engineering educators Dave Whitman, Grant Crawford, and Rhonda Young discuss the rich source of data in the FE exam which is administered to more than 55,000 seniors and recent graduates annually. Critical Thinking: Is That Going to Be on the Test? 7 to 8:30 a.m., Sheraton Seattle, Issaquah. 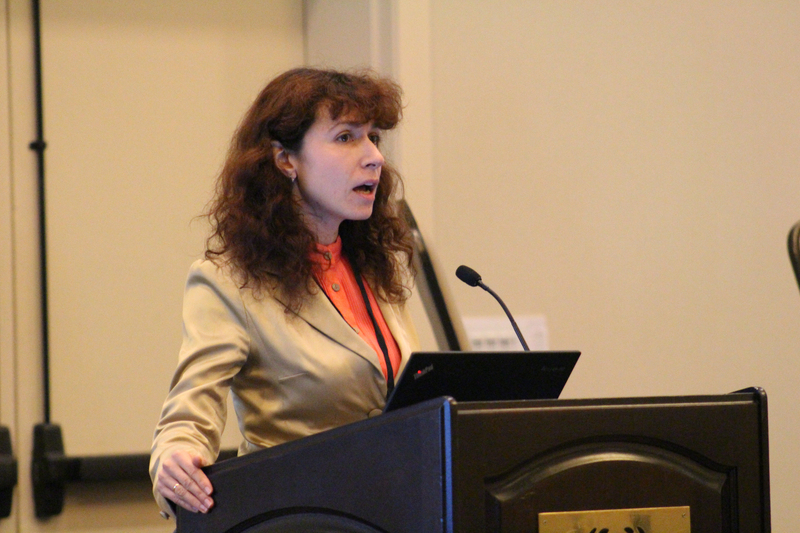 Moderated by Christina R. Scherrer, this technical session explores this and other issues in engineering technology education. Persistence and Retention 8:45 to 10:15 a.m., Sheraton Seattle, Metropolitan B. Matthew W. Roberts and Golnaz Arastoopour moderate this session on patterns of students’ success, first-year mathematics, and other related topics. 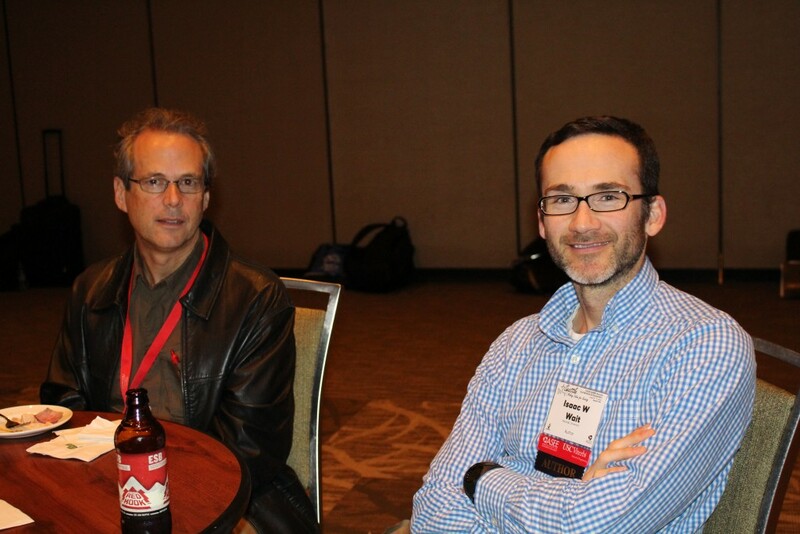 First-Year Programs Division Best Papers 8:45 to 10:15, Washington State Convention Center, Room 608. 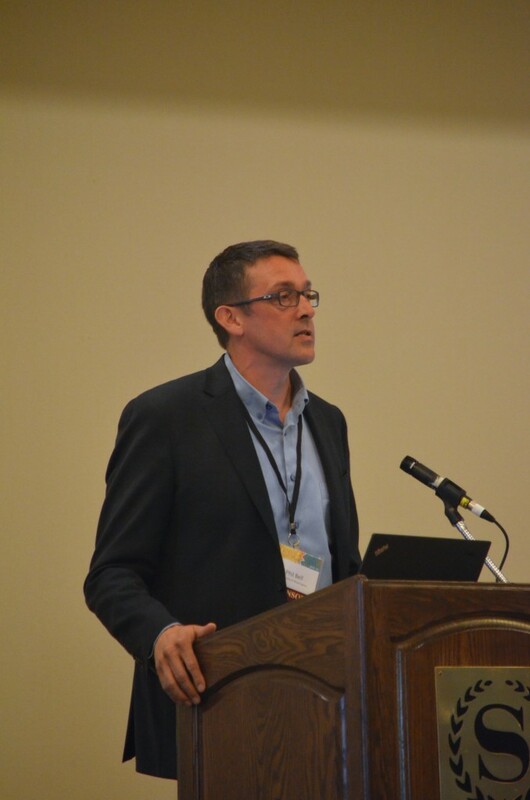 S. Patrick Walton moderates this session covering academic advising, inclusive environments, and other strategies. Fishing with Broken Net: Predicament in Teaching Introductory Physics 8:45 to 10:15, Washington State Convention Center, Room 694. One of the papers in the Engineering Physics and Physics Division’s technical session moderated by Evan C. Lemley and Richard Harris. Find That Plane! 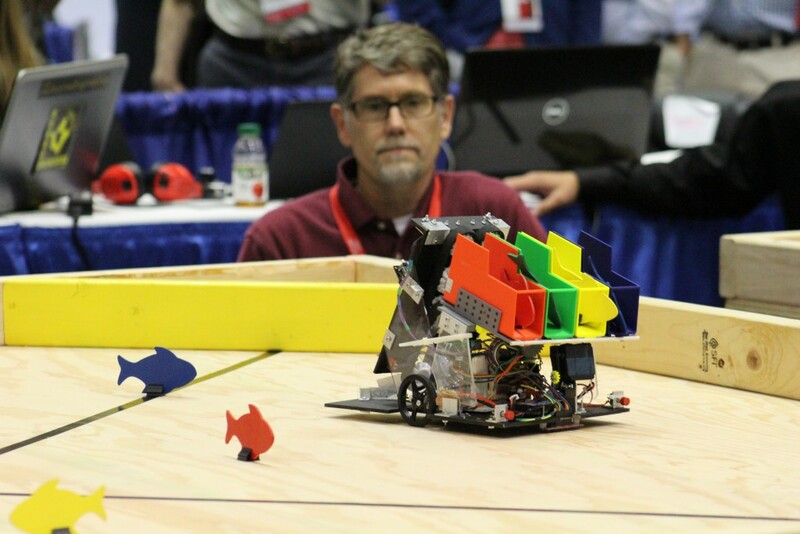 Evaluation of a High School Summer Science and Engineering Camp Introducing Robotics to Simulate the Search for Malaysian Airlines Flight 370 12:30 to 2 p.m., Washington State Convention Center, Exhibit Hall 4ABC. K-12 Division poster session. 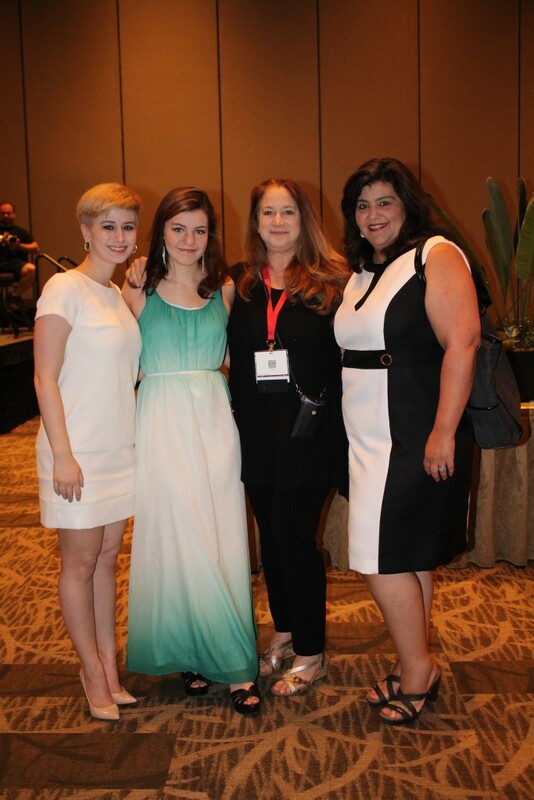 Guardian Angels of our Better Nature 2:15 to 3:30, Washington State Convention Center, Room 619. One of the five best paper candidates in the Design in Engineering Division’s session moderated by Reid Bailey. 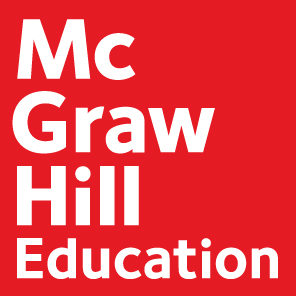 Tactical Approaches to Entrepreneurship Education 2:15 to 3:45 p.m., Washington State Convention Center, Room 614. Moderated by Mark M. Budnik, this session touches on broadening engineering particiation through the maker space movement and developing the T-shaped engineer. 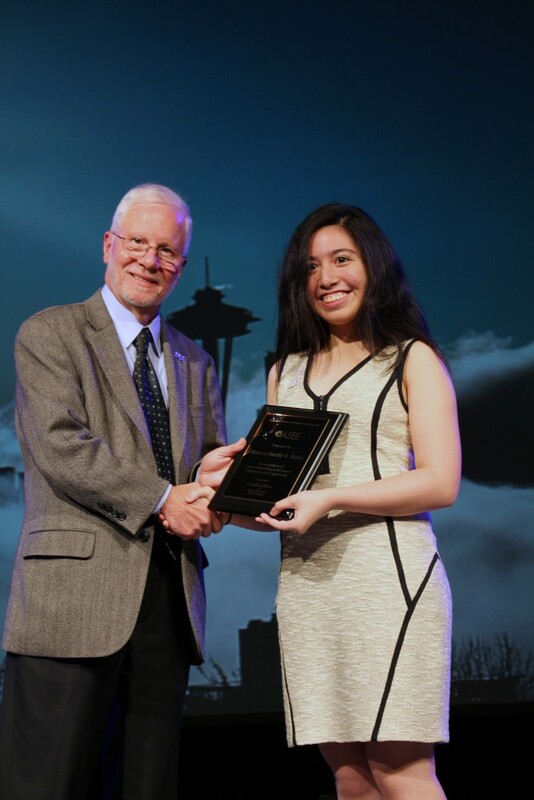 Best Zone Paper Competition 4 to 5:30 p.m., Washington State Convention Center, Room 310. 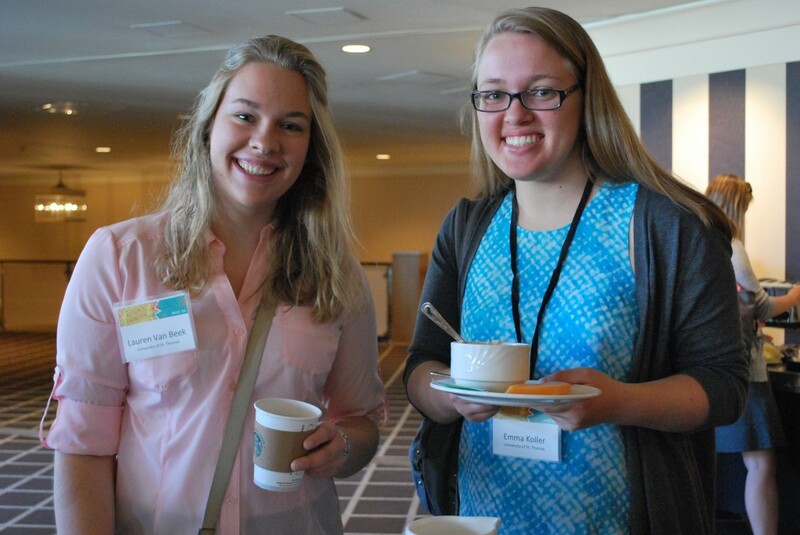 Women in Engineering: Faculty and Gender Issues 7:00 to 8:30 a.m., Sheraton Seattle, Medina. Developing an effective early-career mentoring program and a literature review of gender and department heads are among the presentations in this session moderated by Donna Reese. 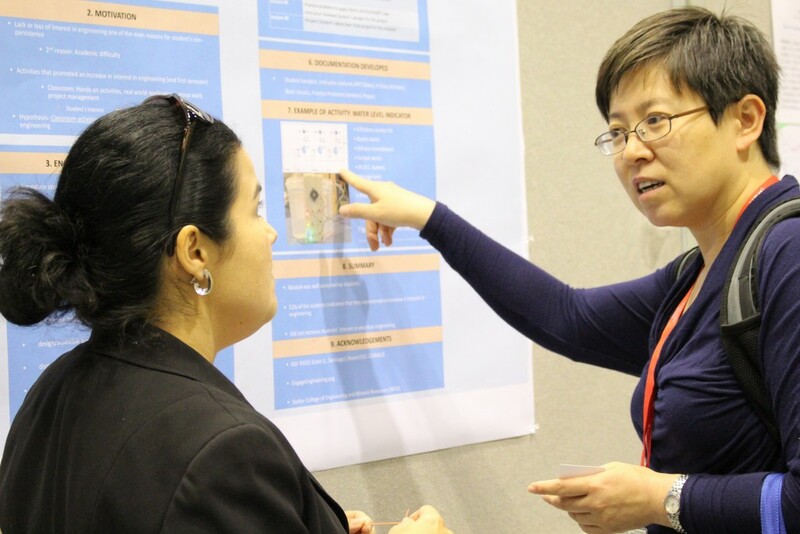 Women in Engineering Poster Session 12:30 to 2 p.m., Washington State Convention Center, Exhibit Hall 4ABC. 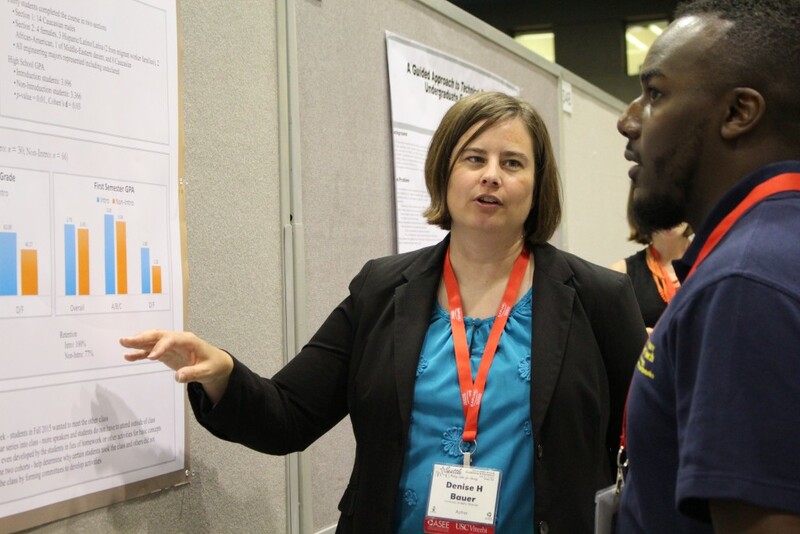 Research on assessing the GRIT of incoming engineering students (Laura Bottomley) and why high school girls interested in information technology don’t pursue IT careers (Tanya Stanko) are two of the nine posters being presented. 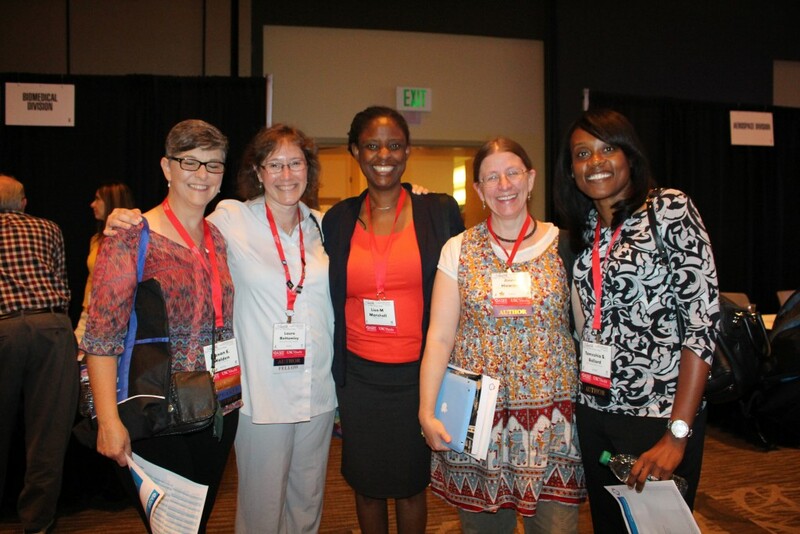 Advancing Women of Color in Academia: Seeking Solutions 2:15 to 3:45 pm., Washington State Convention Center, Room 611. This session, moderated by Valarie D. Taylor, seeks to facilitate a dialogue by presenting highlights of the 2012 National Research Council conference on maximizing American talent by advancing women of color by fostering cultures in academia that are hospitable to people of every gender, race, and ethnicity. Interactive Panel on Perspectives and Practical Skills for Men as Advocates for Gender Equity 2:15 to 3:45 p.m., Sheraton Seattle, Greenwood. Moderated by Debra May Gilbuena, this panel of men and women with diverse backgrounds and experiences to discuss their perspectives and offer practical skills for men to effectively serve as advocates for gender equity, including individual and institutional-level advocacy. 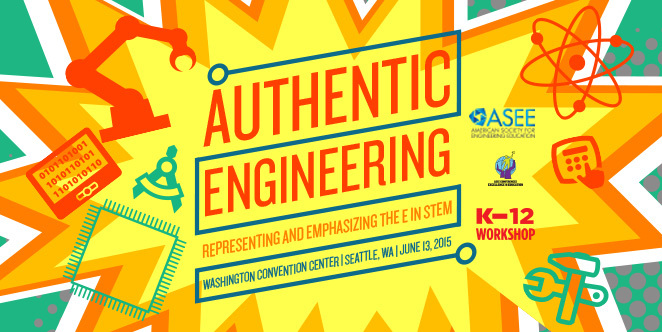 Women in Engineering: Student Issues as Related to Culture 4 to 5:30 p.m., Washington State Convention Center, Room 618. Presentations on this panel moderated by Angela R. Bielefeldt and Lindsay Corneal include the persistence of female undergraduates at two technological universities and reactions by students and professionals to sexist remarks. Attracting, Developing, and Retaining Diverse Talent in Mechanical Engineering 4 to 5:30 p.m., Washington State Convention Center, Room 617. 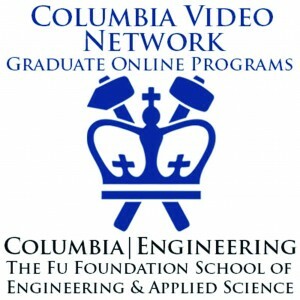 Join moderator Jeremiah J. Neubert and a panel of veteran engineering educators in this interactive session to review and discuss findings emerging from two studies: a very large, cross-university, student dataset looking at demographics and student outcomes, and an in-depth qualitative study examining diversity issues in engineering competition teams. 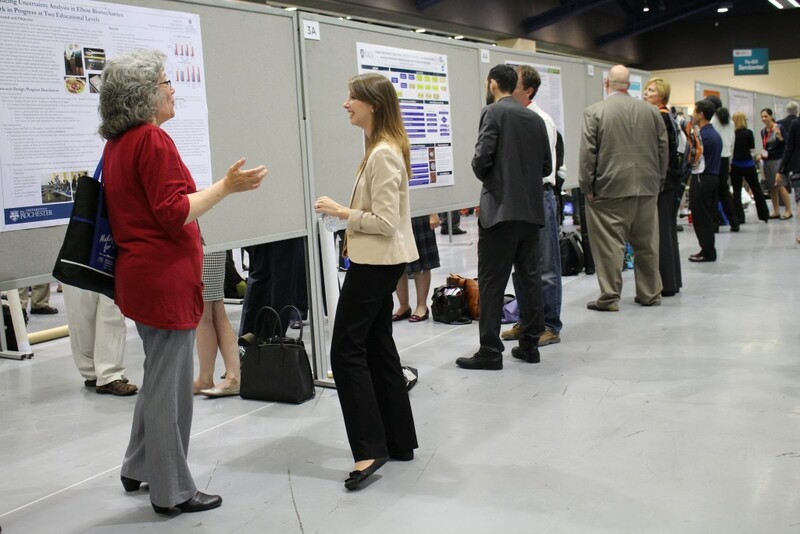 NOTE: All poster sessions take place at the Washington State Convention Center Exhibit Hall 4ABC from 12:30 to 2 p.m. 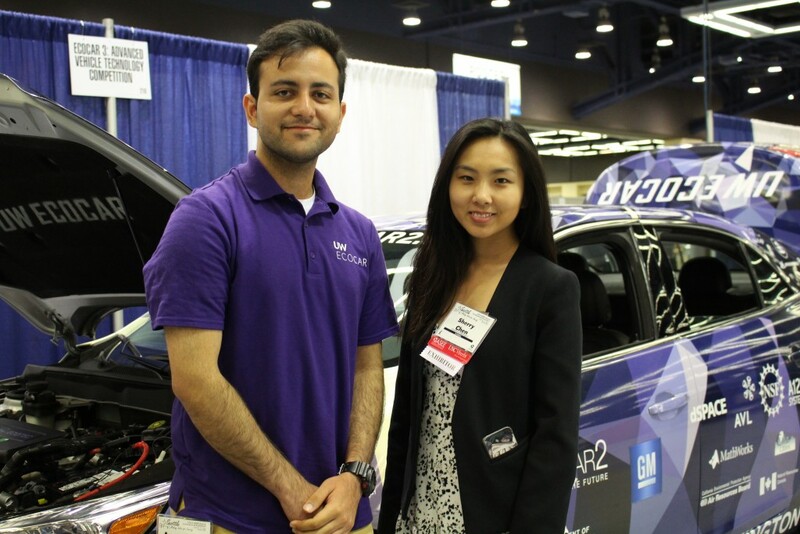 Shell Eco-car Poster Session Integration of simulation tools, safety, and project management. 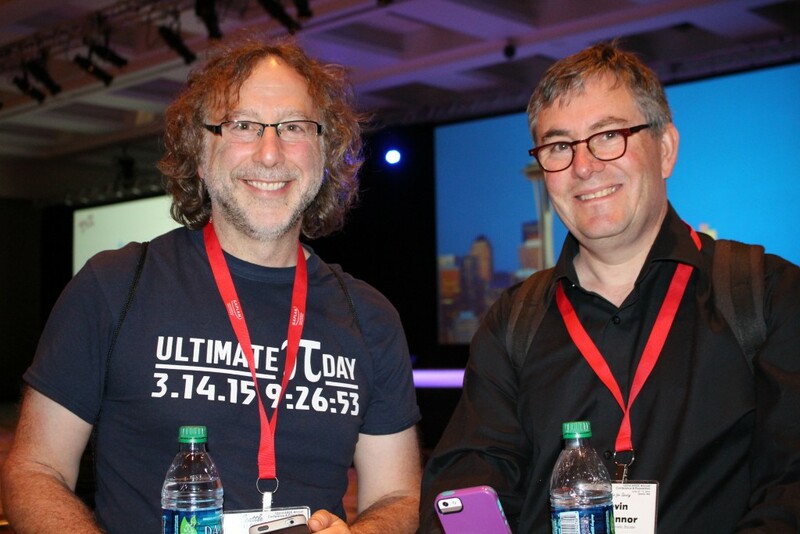 Making in Design 8:45 to 10:15 a.m., Washington State Convention Center, Room 618. Moderators Benjamin David Lutz and Bryony DuPont explore lessons from toy makers in teaching engineering, academic maker spaces, and more. Make It! 12:30 to 2 p..m., Washingotn State Convention Center, Exhibit Hall 4ABC. This poster session features 19 maker projects, including a one-hour robot and the Twisted Sister Rover. 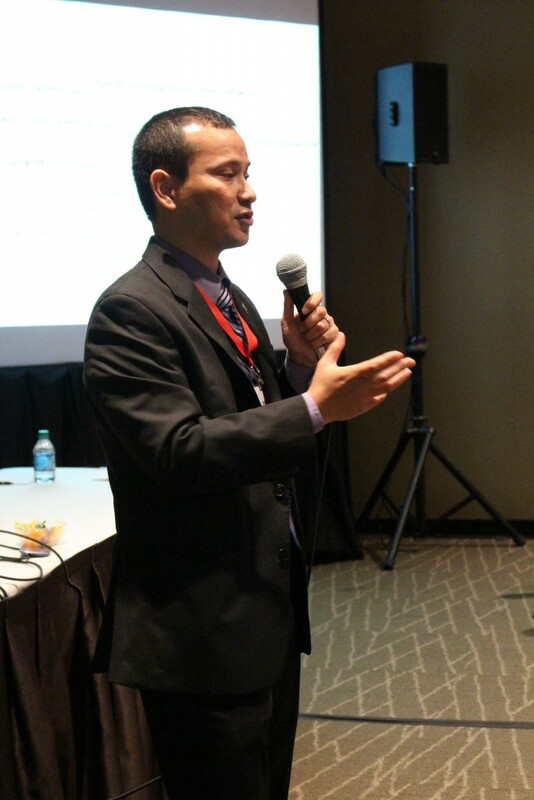 Tactical Approaches to Entreprenership Education 2:15 to 3:45 p.m., Washington State Convention Center, Room 614. “Broadening Participation Through Engagement in the Maker Space Movement” is among the presentations in this technical session moderated by Mark M. Budnik. 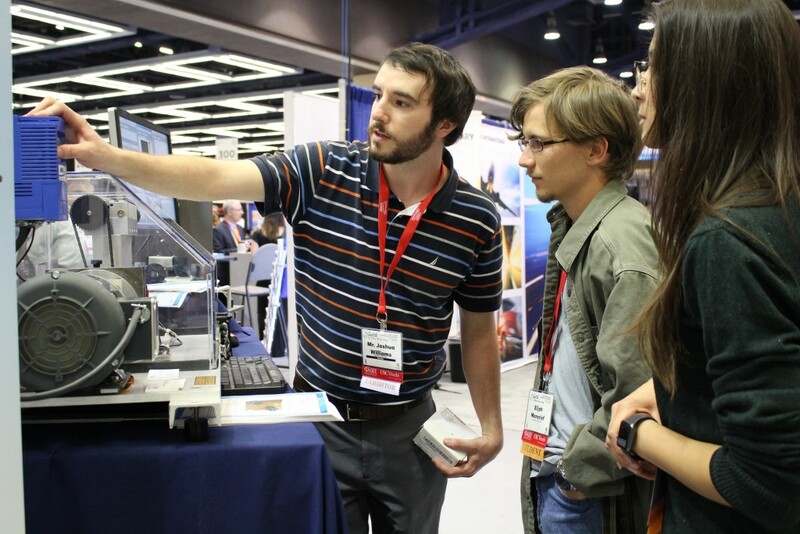 Wednesday – Makerspaces in the Library: Using 3-D printers, Laser cutters, and Kits to Enhance Learning 12:30 to 2 p.m., Washington State Convention Center, Room 604. FabLabs and outreach program collaborations are among the topics covered in this session moderated by Brianna Buljung. 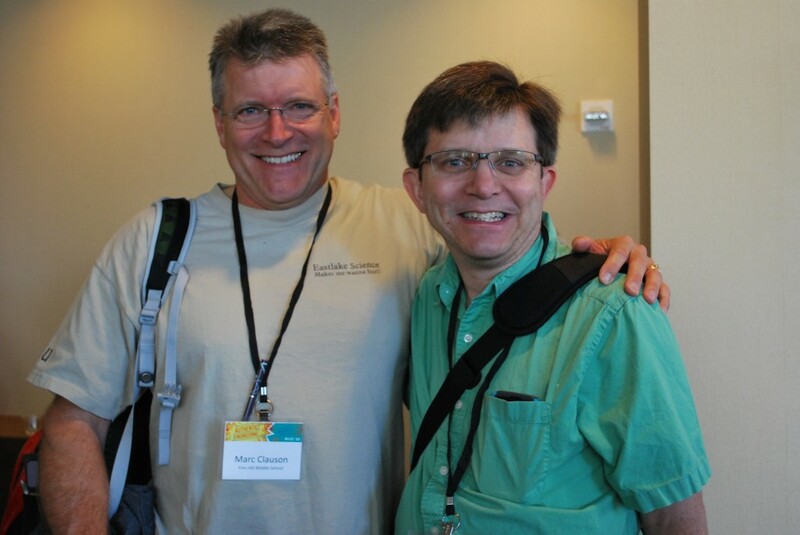 Wednesday – Beyond the Classroom 12:30 to 2 p.m., Washington State Convention Center, Room 304. Arizona State’s “Welcome to the Makler Movement: Parallel Education Pathways of Adult Makers” is among the presentations in this session moderated by Alice Pawley and Matilde Luz Sanchez-Pena. This entry was posted in Uncategorized on June 15, 2015 by nnittoli. 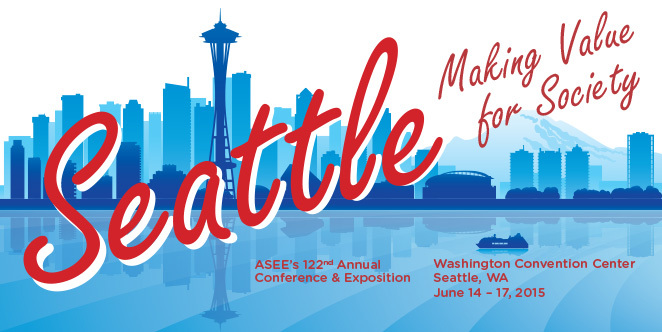 Welcome to Seattle and the 122nd ASEE Annual Conference & Exposition! It’s opening day! We hope you’re comfortably settled in. If you need urgent assistance, our conference staff will be available at the registration desk in the Washington State Convention Center, Exhibit Hall 4AB, from 7 a.m. to 5 p.m.
Complimentary Wi-Fi is provided near the Information Kiosk in the South Lobby but high numbers of users mean service can be unreliable. ASEE has negotiated a discounted daily rate of $!2.95 per person/per device at the Convention Center (originally $79/day). Free Wi-Fi zones can be found in some downtown public areas, including Seattle Center and many cafés. Never been to Seattle? 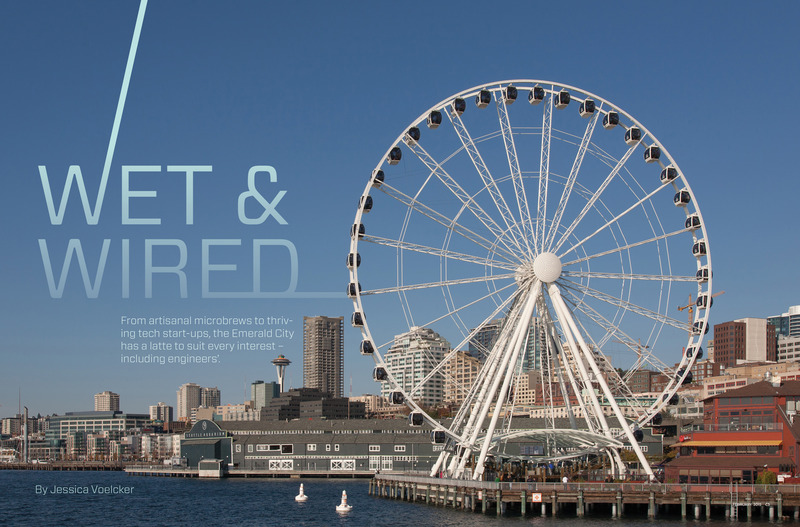 Check out “Wet & Wired” from the February issue of Prism magazine for tips on what to see, where to find the Emerald City’s top coffee spots, and how to get around town! 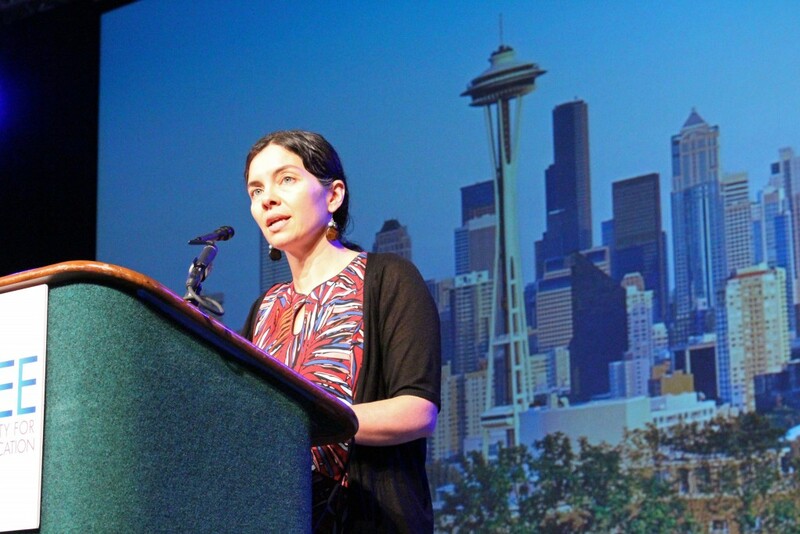 Or ask a local: the University of Washington is co-hosting the conference. You’re automatically entered to win a $50 Amex Gift Card! The app also lets you access papers, locate exhibitors, and email other conference participants. Watch this short ASEE YouTube video to learn more about using the mobile app. Click HERE to see session changes for Monday, June 14. 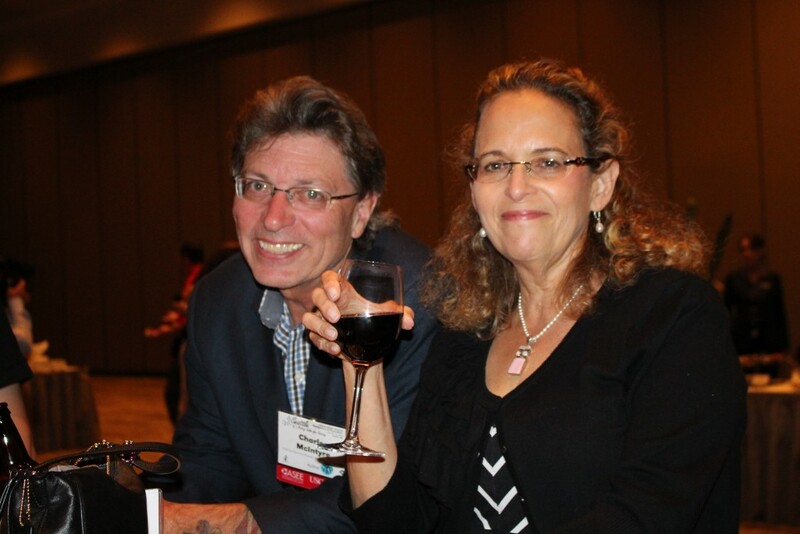 Exclusive offer: Renew your membership during the annual conference and save 5% a year for up to three years. Visit Tonya at ASEE’s Information Kiosk during registration hours and she will process your renewal immediately. If you have time, stop by the ASEE publications table in the atrium and chat with Prism’s editors. Tweeting? 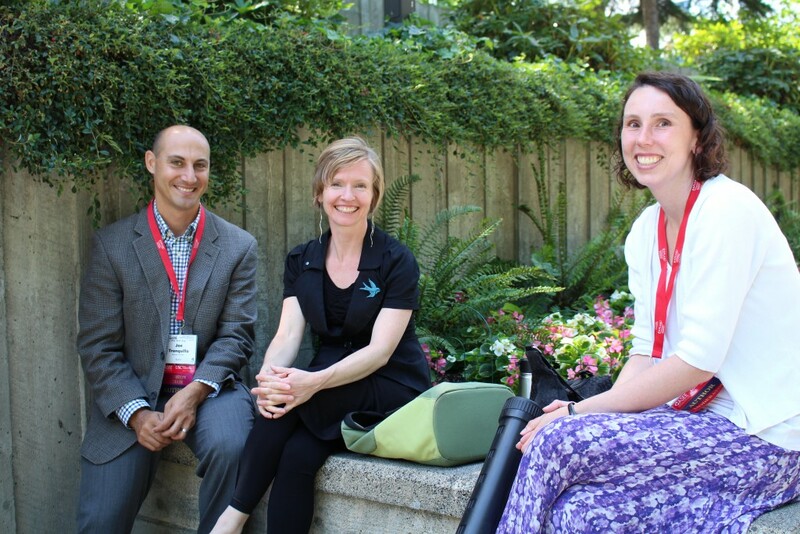 Use #ASEEAnnual to share thoughts on the conference, connect – and win gift cards in ASEE’s Social Media Contest. Post selfies with the executive director, answer daily trivia questions, and more! Follow @ASEEConferences for more information. 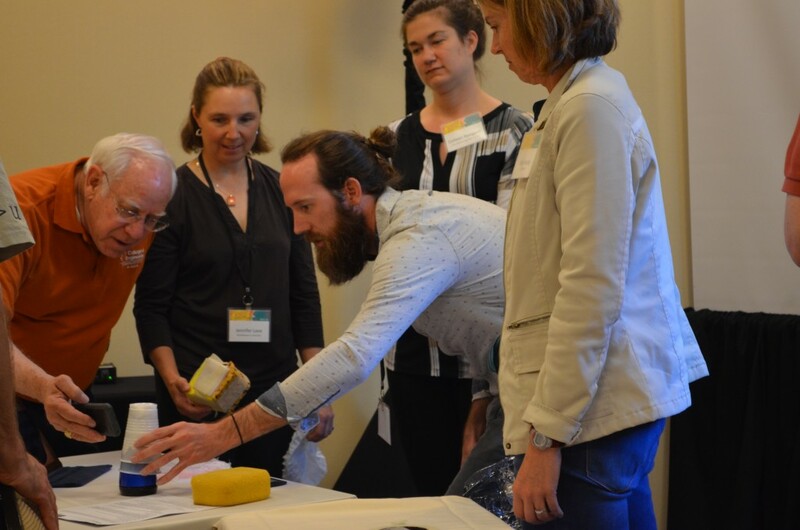 A flurry of hands-on activities, teaching tips, and great conversations animated the day’s workshops, International Forum, and social events. A distinguished group of scholars, including Wickenden Award winner P.K. 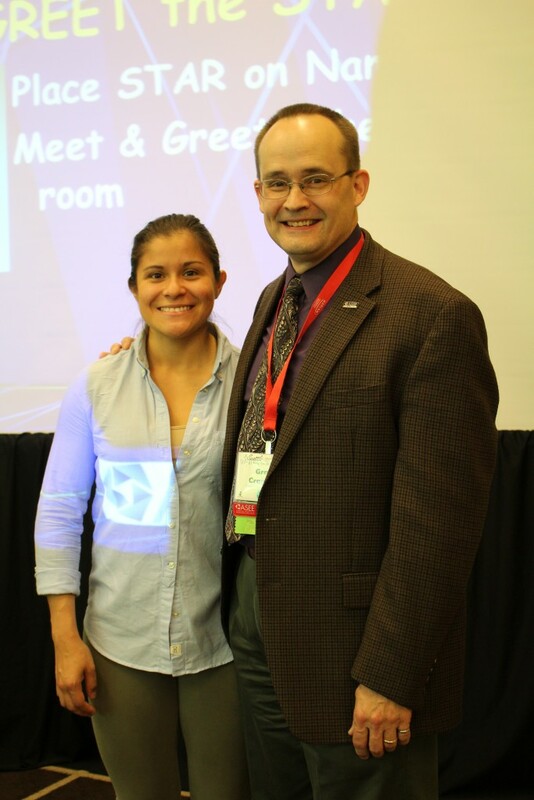 Imbrie from Texas A&M, discussed the pedagogy, practice, and assessment of inverted classrooms. 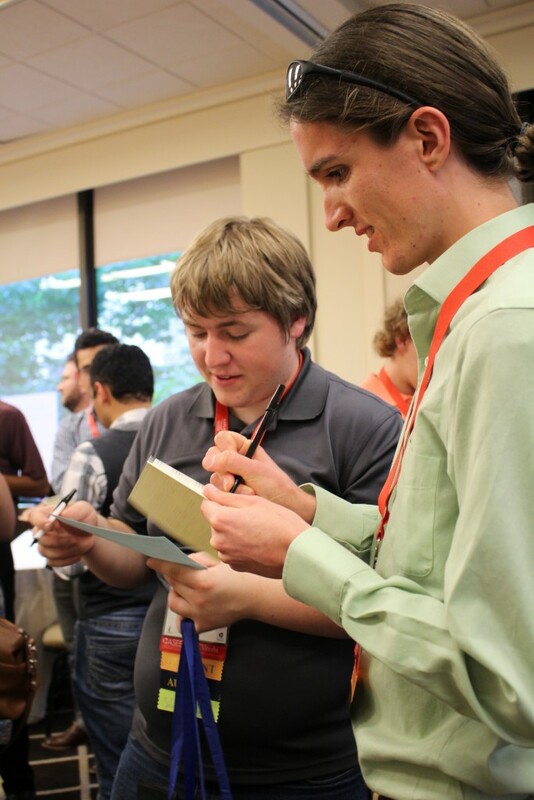 Engineering ethics was the topic of two workshops, while a session on improving first-year engineering student retention and success, particularly of those with poor preparation, ranged from hands-on labs to advising. The challenge of engaging diverse students touched on instructional modifications gleaned from research in more than 300 classrooms. 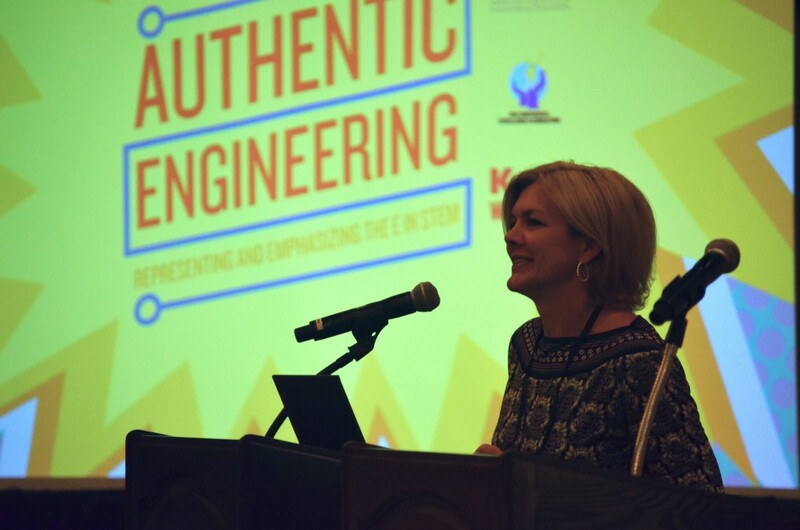 Vanderbilt’s Stacy Klein-Gardner – chair of ASEE’s K-12 and Pre-college Division – and Cheryl Farmer of the University of Texas, Austin’s UTeachEngineering program discussed how to incorporate the Next Generation Science Standards in their workshop on preparing K-12 educators to instill engineering habits of mind. 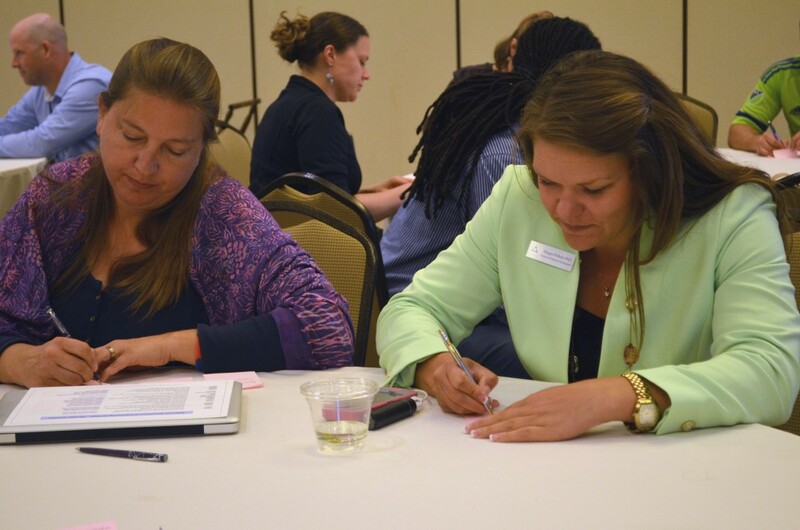 The I-Corps for Learning afternoon workshop drew a number of engineering educators to learn from NSF’s pilot teams about an intensive, 8-week program aimed at fostering an entrepreneurial mindset and taking innovation to scale. 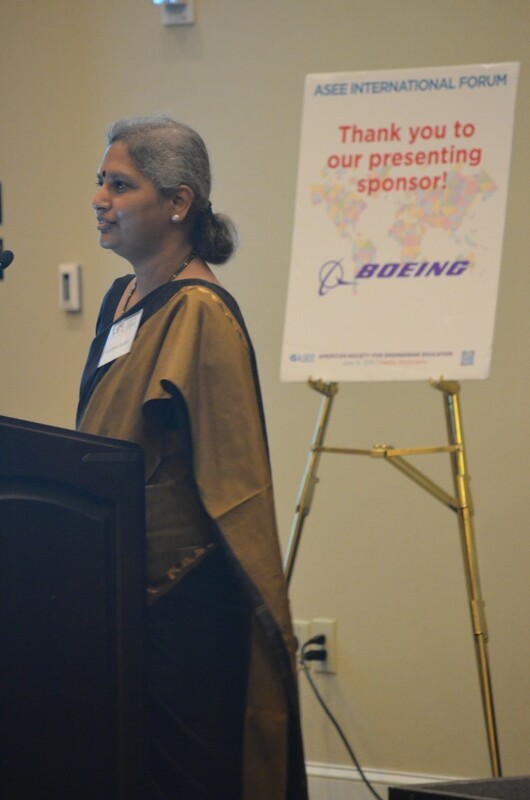 The International Forum kicked off with a keynote address, sponsored by the Boeing Company, by Bill Lyons, director for global research and development strategy at Boeing Research & Technology, and Rovani Sigamoney, engineering program specialist at UNESCO. Partner-organization plenaries discussed the Indo-U.S. 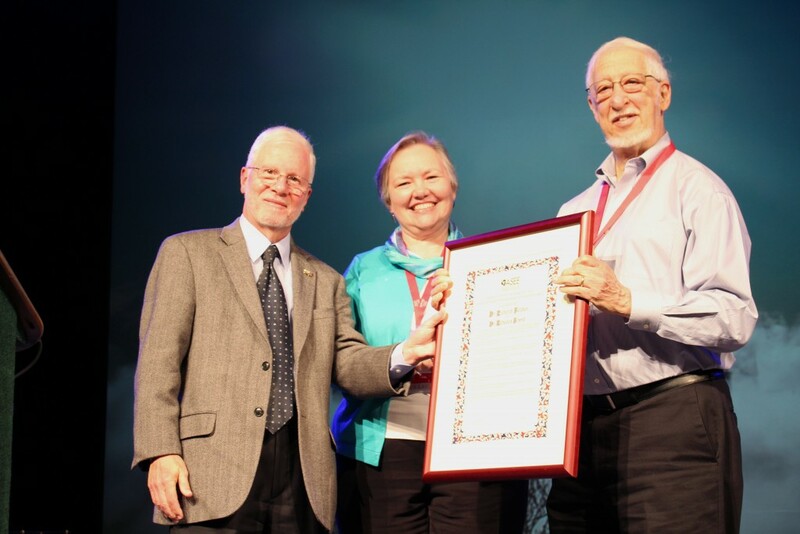 Collaboration for Engineering Education (IUCEE), outcomes-based education and lifelong learning in India; the International Association for Continuing Engineering Education (IACEE); and engineering education and faculty development in Russia. Luncheon keynote speaker, Bill Lyons Other highlights included the annual Greet the Stars First Timers’ Orientation with ASEE’s president and other leaders for new members and first-time conference attendees, the annual ASEE Division Mixer, the Focus on Exhibits Welcome Reception, and division business meetings. Monday starts bright and early with the first of ASEE’s Year of Action on Diversity sessions – a Safe Zone/Positive Space Ally Training. 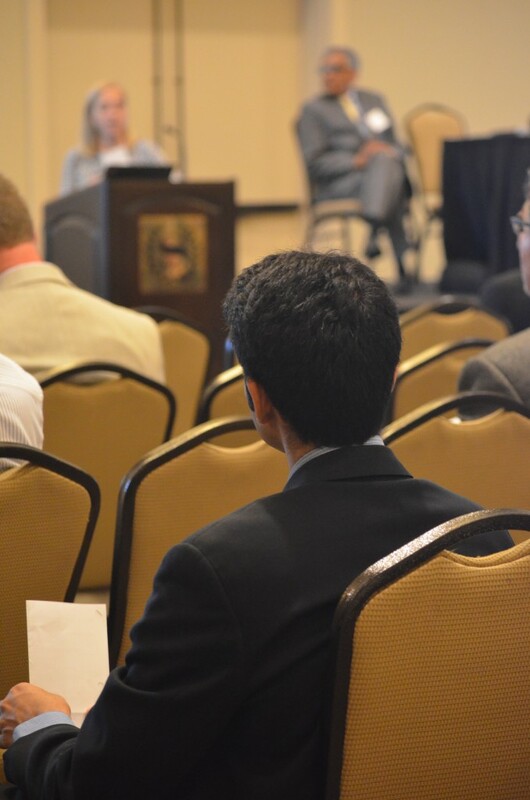 A series of ABET sessions also kicks off at 7 a.m., as do the sponsor and division technical sessions, including one on the future of engineering curricula presented by Purdue University. 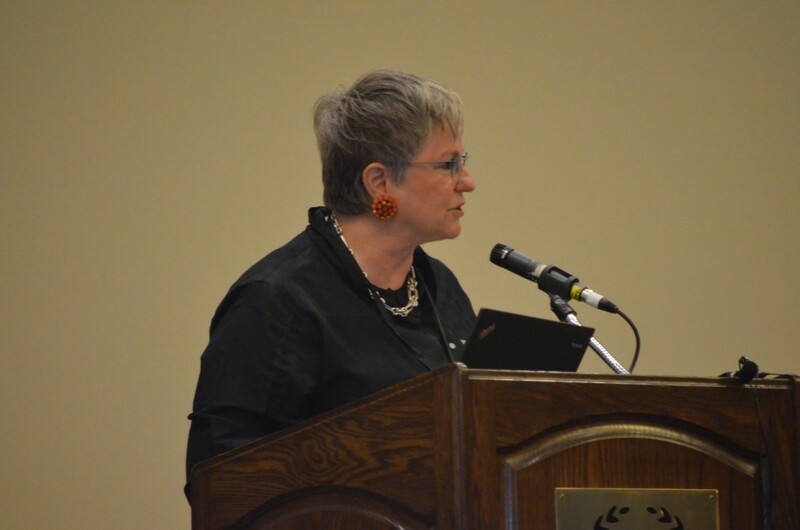 Monday’s highlight is the much-anticipated Main Plenary I, which opens the conference at 8:45 a.m. in the Washington State Convention Center Ballroom 6ABC with renowned mathematician and scholar Maria Klawe, president of Harvey Mudd College. 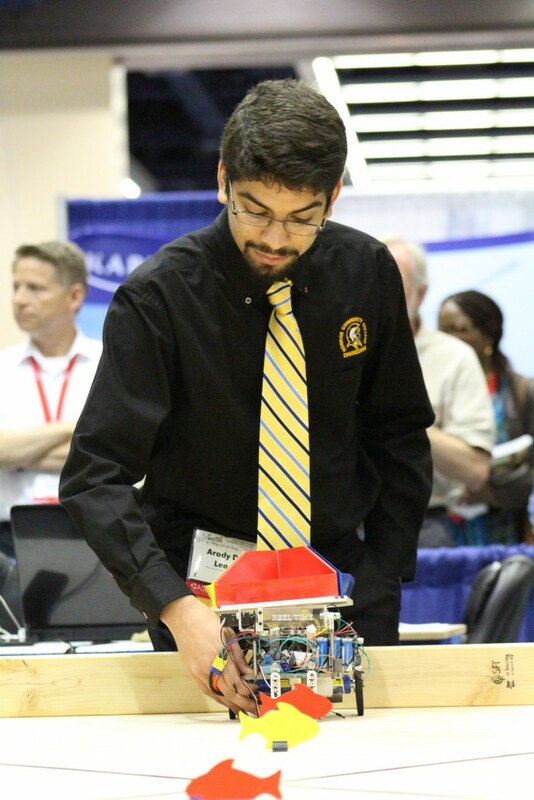 In addition, the session will recognize the 2015 President’s Award Recipient – For Inspiration and Recognition in Science and Technology (FIRST) – along with winners of several national high school STEM contests, including the Intel Science and Engineering Fair, Purdue’s EPICS community service programs, and FIRST Robotics. 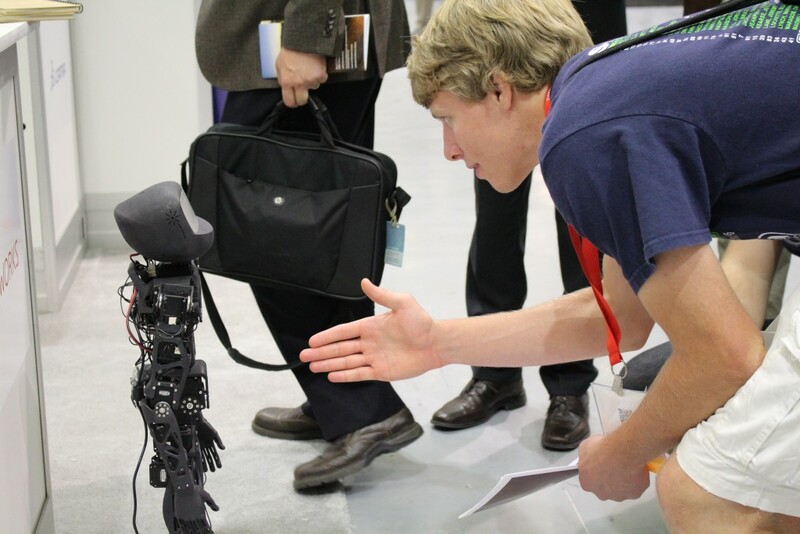 Back by popular demand: Take a mid-morning break immediately after the plenary to meet the national high-school STEM stars and learn about their projects at the Focus on Innovation Pavilion in Exhibit Hall 4ABC. 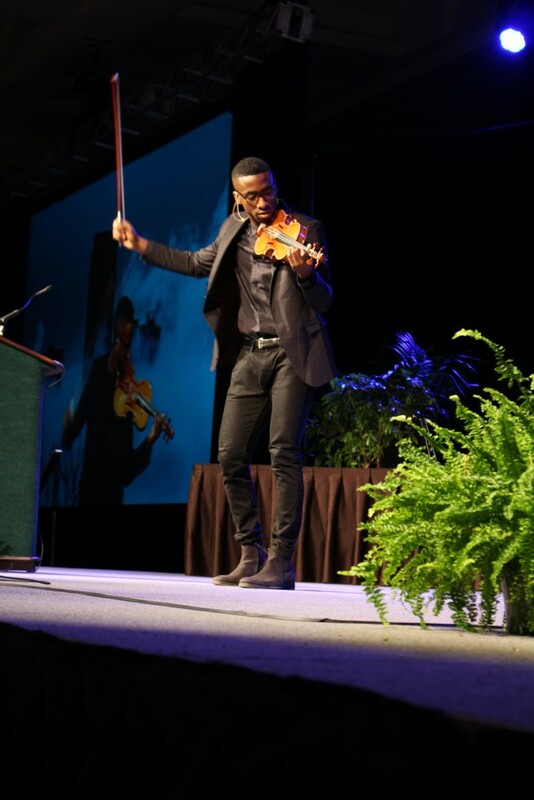 The session also features a performance and Q&A with inspiring violinist and Stanford University Design Center graduate Kai Kight. 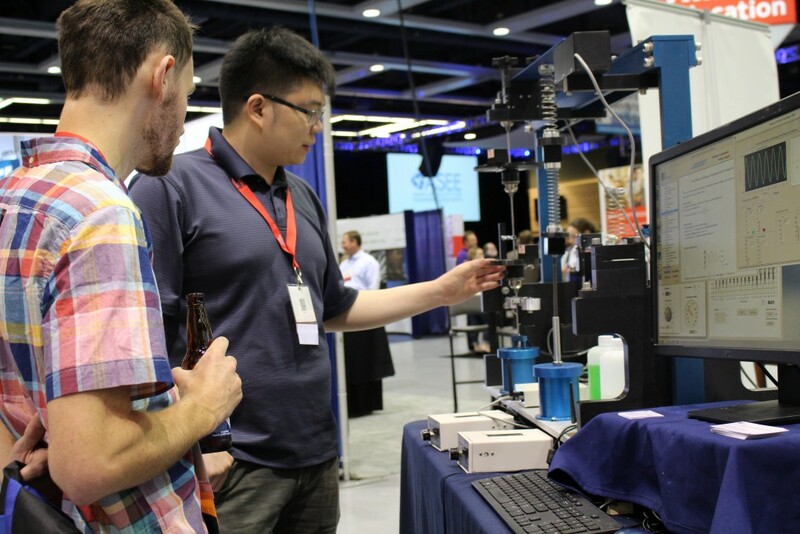 View innovative products and services from industry, learn the results of more than 130 NSF-supported research projects (poster session) and join friends for the complimentary ASEE Focus on Exhibits Brunch – all in Exhibit Hall 4ABC. Be sure to cheer on community college students from around the country as their Fishing Derby robots race to collect the most fish at this year’s Two-Year Model Design Competition from 10:30 to 12:30 p.m. Later that afternoon, different teams will vie to come up with innovative environment-enhancing designs and solutions in the Student Design and Manufacturing Competition. 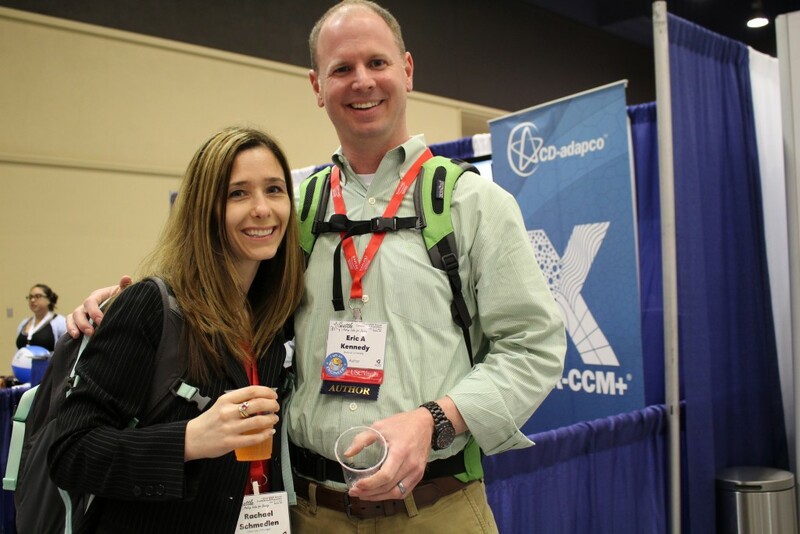 Next, join friends and colleagues for a complimentary glass of cold lemonade at ASEE’s Focus on Exhibits Summertime Social sponsored by Columbia Video Network from 3:45 to 4:15 p.m. in the Exhibit Hall. If you have time, drop by ASEE’s editorial table in the atrium to see the range of publications – from Prism to the Journal of Engineering Education to K-12 outreach materials – and chat with the editors. 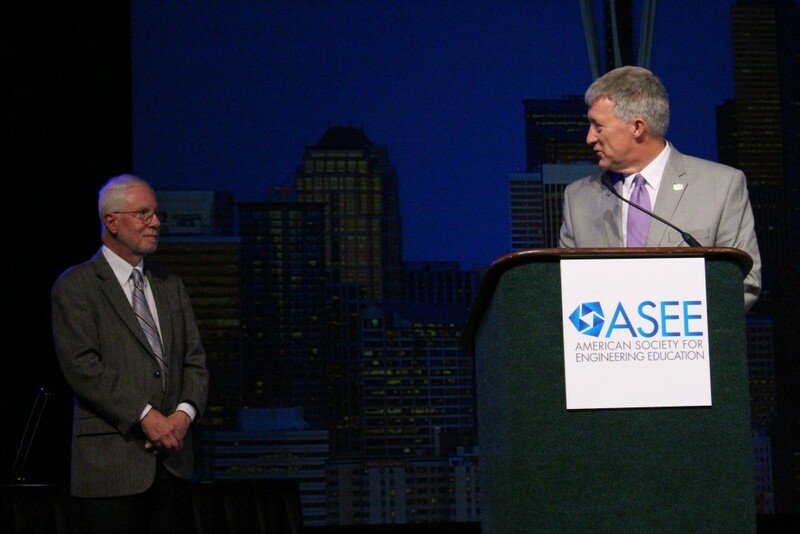 The ASEE Awards Ceremony – 5:15 to 6 p.m. in Ballroom 6ABC – replaces the closing ceremony and banquet. 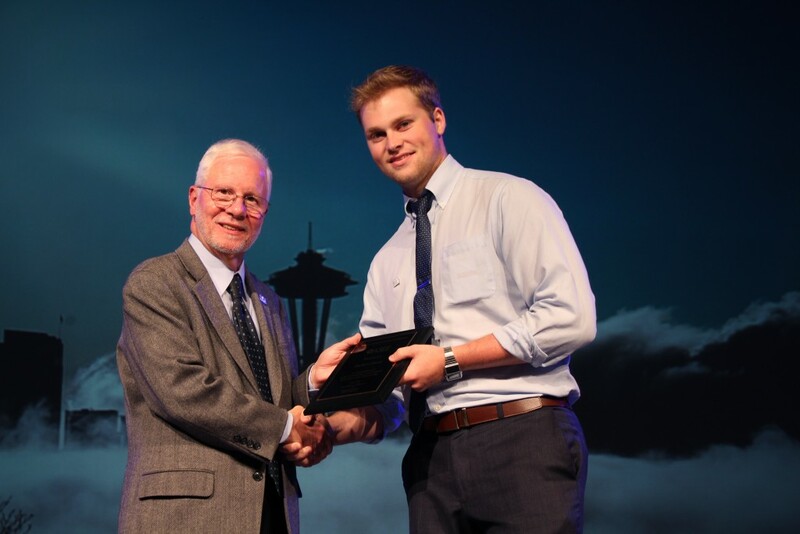 Sponsored by Northrop Grumman and Dassault Systèmes, the event honors new ASEE Fellows, best-paper authors, and outstanding engineering educators. Several evening gatherings provide opportunities to socialize, including the Tau Beta Pi Reception from 6:30 to 8:30 p.m., the Campus Representatives and Awards Reception from 7 to 9 p.m., and the Mechanical Engineering Convivium from 5:30 to 8 p.m. Also, the ever-provocative For-um & Agin-um of the Education Methods and Research Division takes place from 7 to 9 p.m at the Convention Center, room 211. It’s All About Teams & Teamwork 7 to 8:30 a.m., Washington State Convention Center, Room 608. This First-Year Programs Division technical session moderated by Shelley Lorimer and Jennifer Light focuses on research about improving teamwork and learning so students are better at it by the time they’re seniors. Integrating Social Justice in Engineering Science Courses 7 to 8:30 a.m., Sheraton Seattle, Willow B. Moderated by Jon A. Leydens, this technical session hosted by the Liberal Education/Engineering & Society and Engineering Ethics Divisions focuses on projects that push the boundaries in integrating liberal education approaches within technical engineering courses. 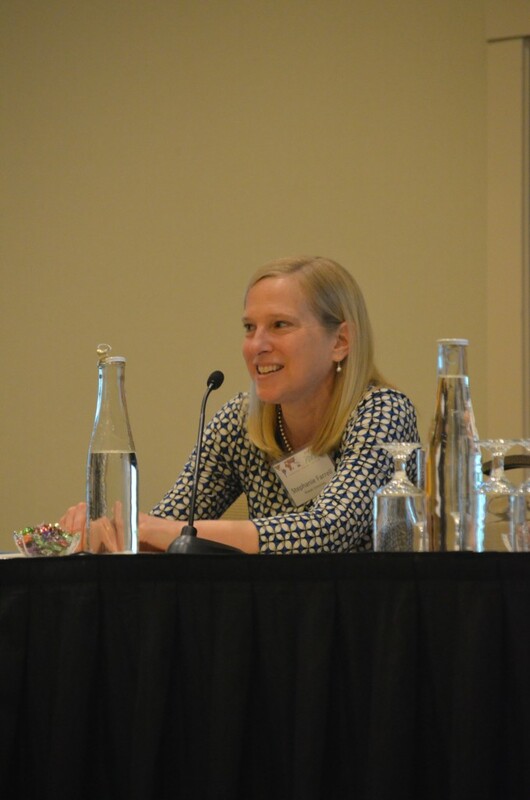 “And Now for Something Completely Different” – A Faculty Sabbatical in Public Policy 12:30 to 2 p.m., Room 203, is among the unusual presentations on the Engineering and Public Policy Division’s first technical session moderated by Deanna Matthews. 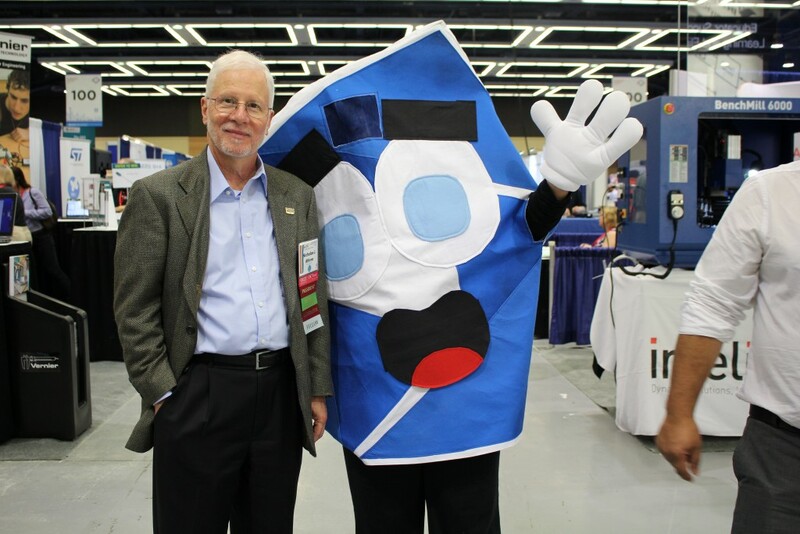 The State of the Electronic Textbook, 2:15 to 3:45 p.m., Room 603, moderated by John K. Estell, B. Kris Jaeger, and Walter W. Schilling, Jr., examines this digital tool from the viewpoint of publishers, faculty, and students. Fifty Shades of Grey Literature, 2:15 to 3:45 p.m. Sheraton Seattle, Grand Ballroom D. This Engineering Libraries Division session, moderated by James A. Van Fleet, covers patent searches and how students use engineering standards. What You Need to Know About ABET Accreditation, 7 to 8:30 a.m. and What’s New in ABET Accreditation? 2:15 to 3:45 p.m., both in the Washington State Convention Center, Room 304; Funding Opportunities with the National Science Foundation 12:30 to 2:00 p.m., Sheraton Seattle, Leschi, and Enhancing Proposal Development and Finding Funding Opportunities 12:30 to 2 p.m., Shearton Seattle, Ravenna A; Data Analysis and Assessment 6:15 to 7:45 p.m., Washington State Convention Center, room 618, which includes a study of students’ use of office hours and course performance. 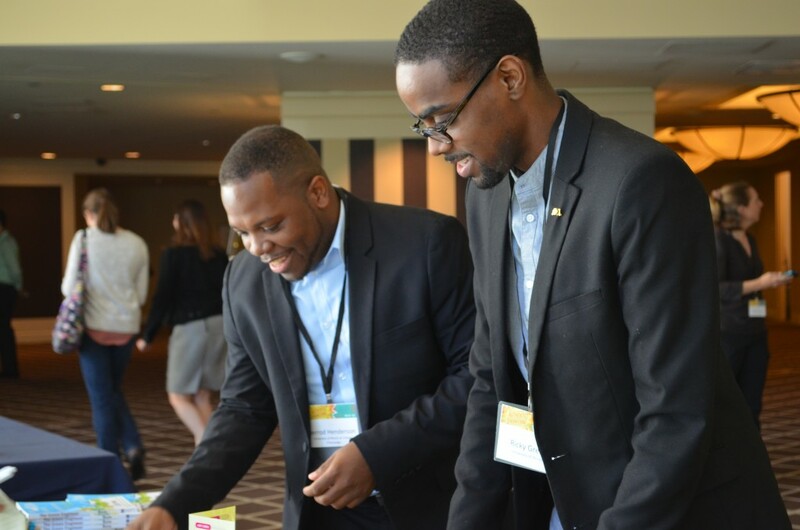 The Student, Entrepreneurship and Engineering Innovation, New Engineering Educators, and College-Industry Partnerships Divisions host a Student Division Happy Hour 6:30 to 7:30 p.m., at the Motif Hotel’s Frolik Bar. New Engineering Educators Division Technical Session 1 7:00 to 8:30 a.m., Room 308. Moderated by Robert W. Hasker, this session discusses student-centered teaching practices, summer faculty immersion programs, and a comparison of U.S. and international systems of training engineering faculty to be educators. Pedagogical Strategies and Classroom Techniques for Teaching Assistants 7 to 8:30 a.m. Room 613. The impact of supplemental instruction on sophomore-level engineering courses, curriculum development, and other strategies by which graduate students may enhance their own classrooms is the focus of this session moderated by Eric Kjolsing, Cassandra Jo Groen, and Manojkumar Vilasrao Deshpande. Online Teaching 12:30 to 2:00 p.m., Room 618. Moderated by Patricia R. Backer, this Computers in Education Division session includes developing a MOOC on a budget, teaching an electrical circuits course online, and “the myth of the six-minute rule” for engaging students with online videos. 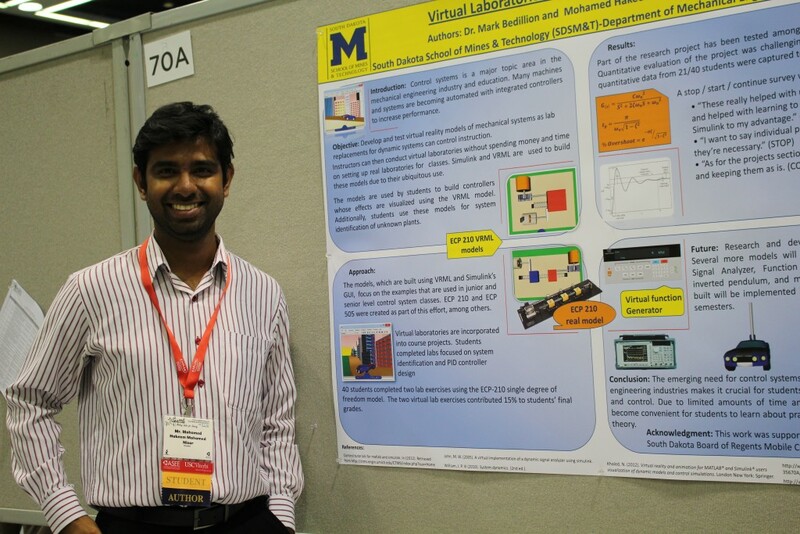 Improving Graduate Students’ Hands-on Learning Experiences 12:30 to 2:00 p.m., Room 614. 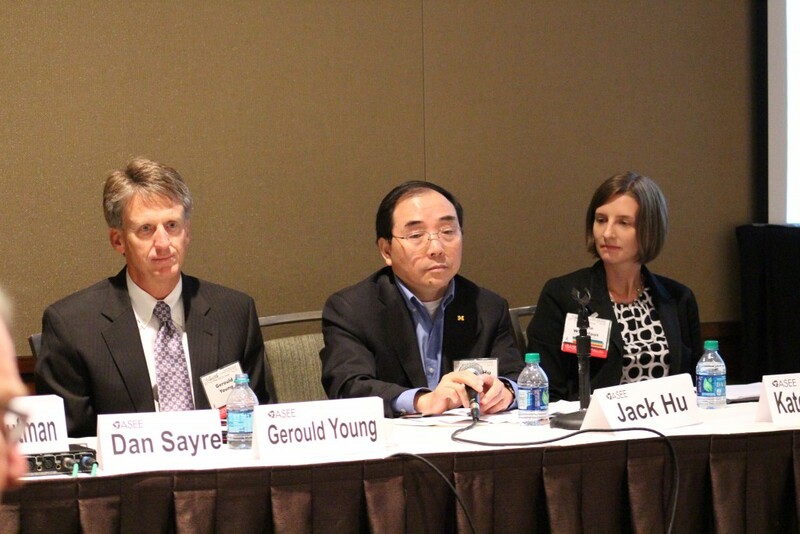 A panel discussion on ways to improve the hands-on training of graduate students in engineering moderated by Jay Tu. Student Experience & Perspectives 12:30 to 2:00 p.m., Room 617. Moderated by Anastasia Marie Rynearson and Wesley Odom, this Student Division technial session includes discussions of non-traditional grading techniques, perspectives on engineering summer programs, and other student experiences as they embark on their educational careers. Faculty Development II 2:15 to 3:45 p.m., Room 609. “I Like Therefore I Learn! Engineering Student Motivation to Learn in Their Least and Most Favorite Courses” is among the presentations in this Engineering Research and Methods Division session moderated by Kaitlin Mallouk and Jacqueline McNeil. Curricular and Non-curricular Models for Diverse Learners in Engineering, 7 to 8:30 a.m., Room 307; Women in Engineering Division: Retention of Undergraduate Students, 7:00 to 8:30 a.m., Room 615. Room 615; Broadening Participation in Engineering,including papers on enhancing accessibility for deaf and hard of hearing students and on creating “calculus readiness,” 12:30 to 2 p.m., Ballroom 2A; Cultivating Engineering Scholarship and Research Mindsets Among URM Students,12:30 to 2:00 p.m., 12:30 to 2:00 p.m., Room 309. Interactive Theater to Promote Difficult Dialogues About Inequities in Engineering Education, 2:15 to 3:45 p.m., Sheraton Seattle, Greenwood. This entry was posted in Uncategorized on June 14, 2015 by nnittoli. We hope you’re comfortably settled in. 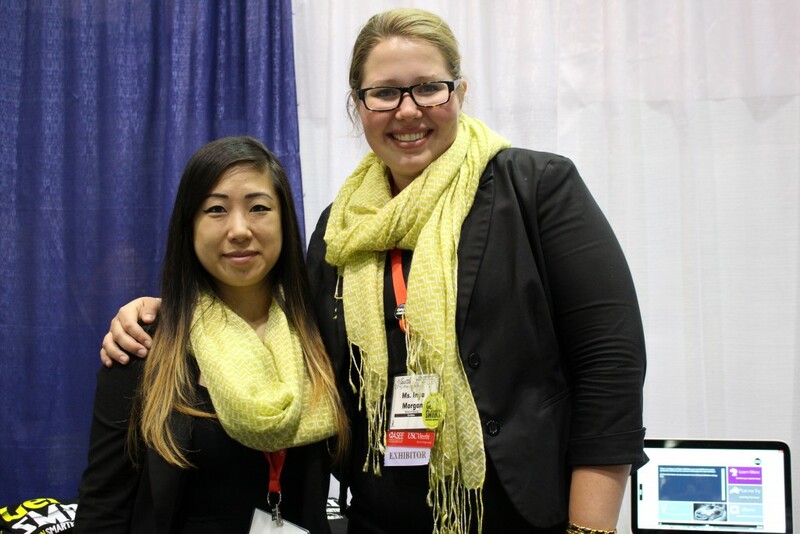 If you need urgent assistance, our conference staff is available at the registration desk in the Washington State Convention Center, Exhibit Hall 4AB from 8 a.m. to 7 p.m. Sunday. Complimentary Wi-Fi is provided near the Information Kiosk in the South Lobby but high volume means service can be unreliable. ASEE has negotiated a discounted daily rate of $12.95 per person/per device at the Convention Center (originally $79/day). 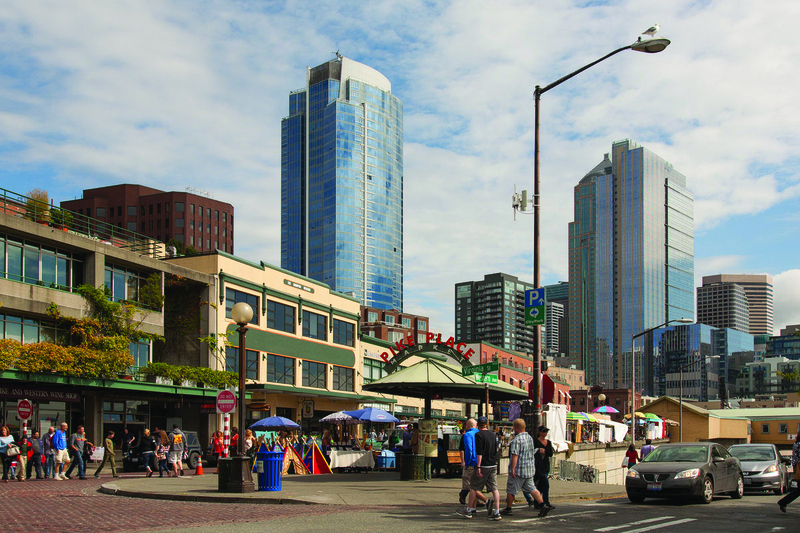 Free Wi-Fi zones can be found in many downtown public areas, including Seattle Center and a host of cafés. Click HERE to see session changes for Sunday, June 14. 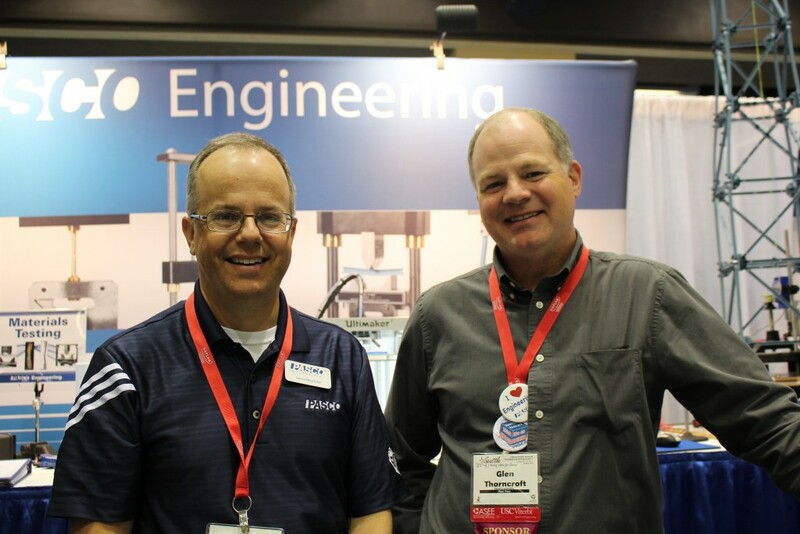 Peruse ASEE publications (Prism, Journal of Engineering Education, Advances in Engineering Education, Journal of Engineering Technology, Engineering Design Graphics Journal, and more), and chat with editors at our table near the Exhibit Hall. 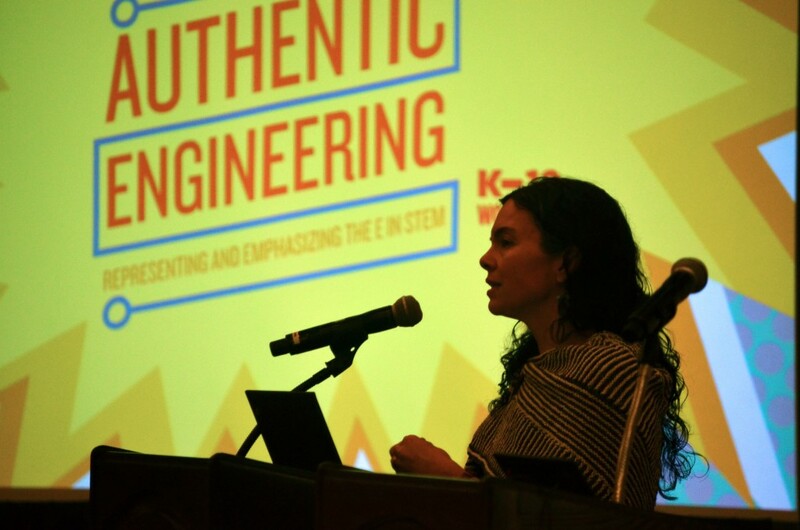 Authentic Engineering, Representing and Emphasizing the ‘E’ in STEM was the theme of the 12th annual ASEE Workshop on K-12 Engineering Education, presented by Dassault Systèmes. 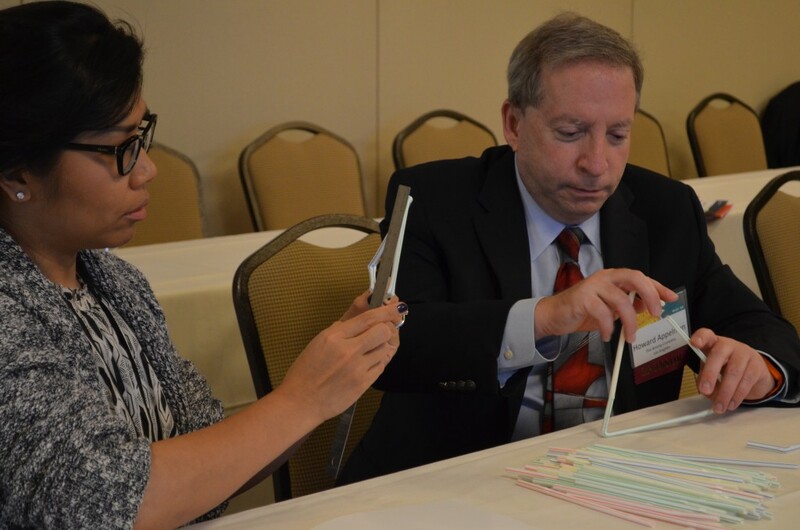 The daylong workshop introduced K-12 teachers to effective, innovative engineering education resources and classroom activities designed to help them integrate engineering, design, and inquiry into the curriculum. Noteworthy presentations included Algebra 2 & the Engineering Design Process (University of Cincinnati); Novel Engineering: Integrating Engineering and Literacy (Tufts Center for Engineering Education and Outreach); Creative Circuitry (University of St. Thomas); and Engineering Solutions to Storm Water Problems Through Community Participation (University of Maine and Bangor High School). 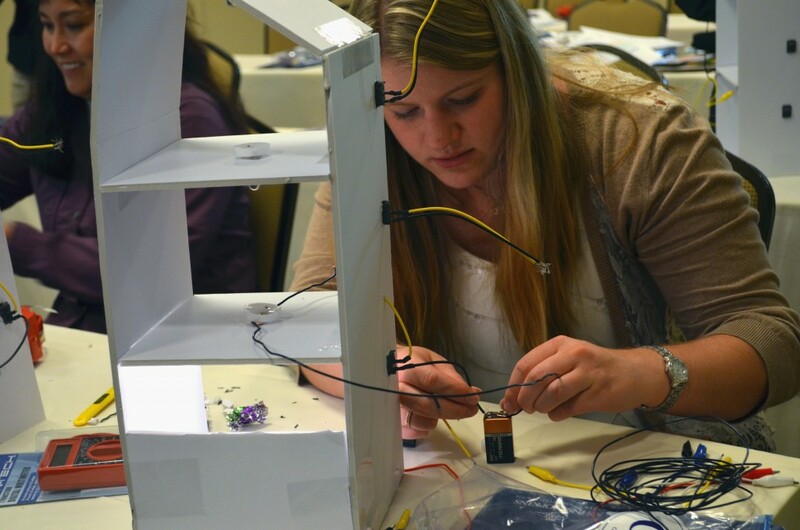 Teachers got to try their hand at designing Interactive 3-D Digital Learning Applications and building a device to reduce sound levels without distorting the quality. Stacy Klein-Gardner from Vanderbilt discussed effective STEM curriculum for girls. 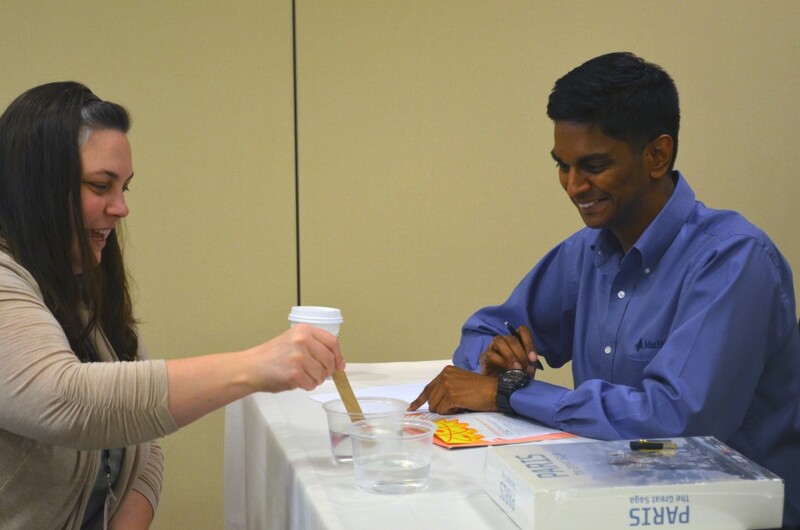 Thanks to all the sponsors, educators, and volunteers who helped make ASEE’s 2015 K-12 Workshop such a success! 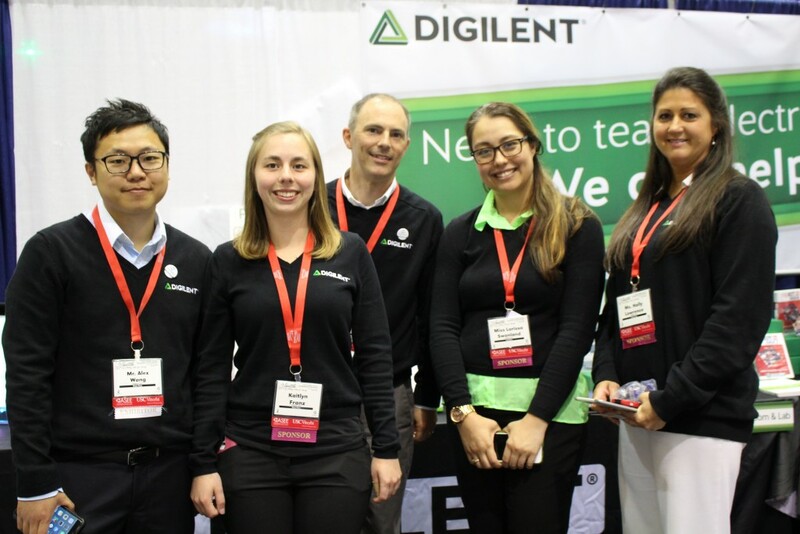 Teachers are eligible for a free 1-day Exhibit Hall. 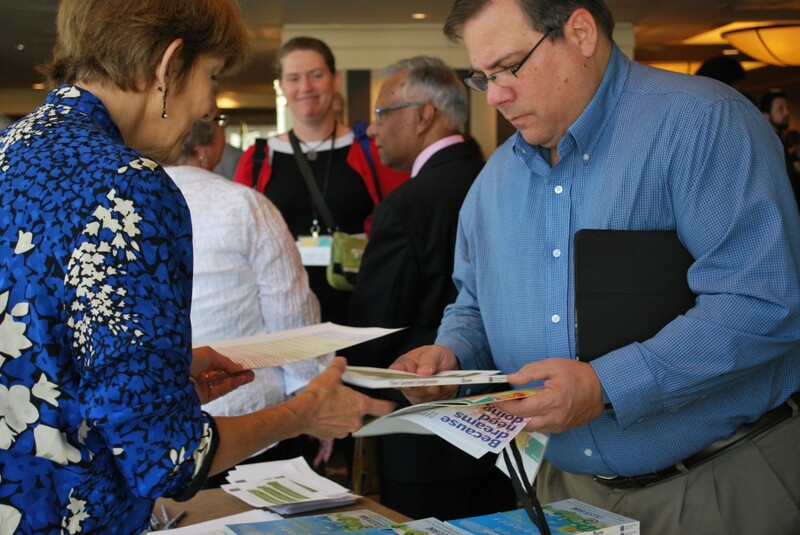 They also may register for one day of the 2015 ASEE Annual Conference & Exposition at the rate of $250. Sunday’s highlights include workshops on teaching the mathematics of renewable energy, using failure case studies to teach engineering and ethics; pedagogy and assessment in inverted classrooms; and integrating systems engineering into engineering education. Those interested in learning how to publish their research-based K-12 curricula in TeachEngineering.org should check out the afternoon workshop by the founders of the University of Colorado, Boulder’s searchable digital archive of standards-aligned engineering activities and lesson plans. 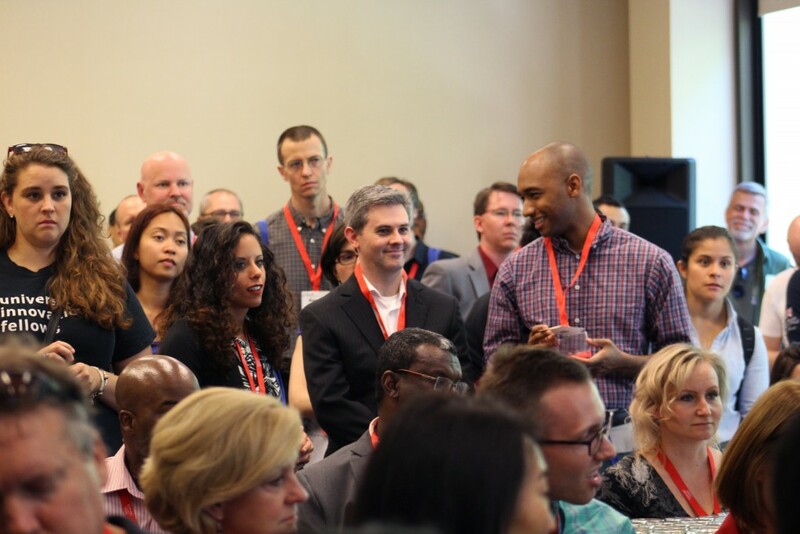 New to ASEE or a first-time conference attendee? 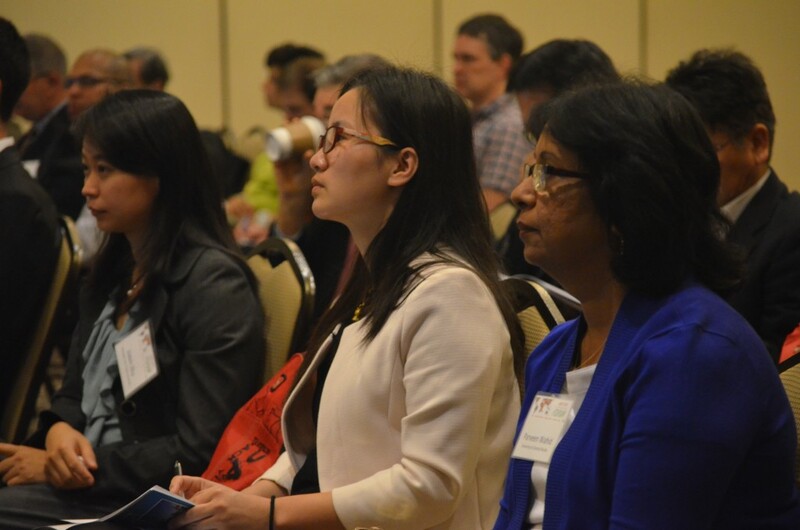 Join the ASEE Board of Directors at the annual Greet the Stars Reception for newcomers, 3:15 to 4:00 p.m. in Cedar Room B at the Seattle Sheraton. 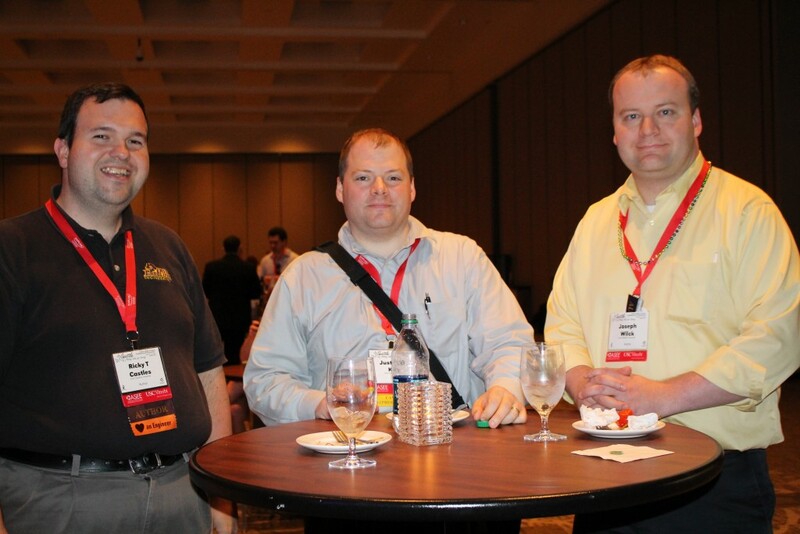 All attendees are invited to the complimentary ASEE Division Mixer (4:15 – 5:45 p.m. in the Washington State Convention Center Ballroom 6 ABC) and Focus on Exhibits Welcome Reception sponsored by NCEES (6 – 7:30 p.m. in the Convention Center Exhibit Hall 4 ABC) to meet colleagues, old and new, while learning about innovative teaching tools and programs. 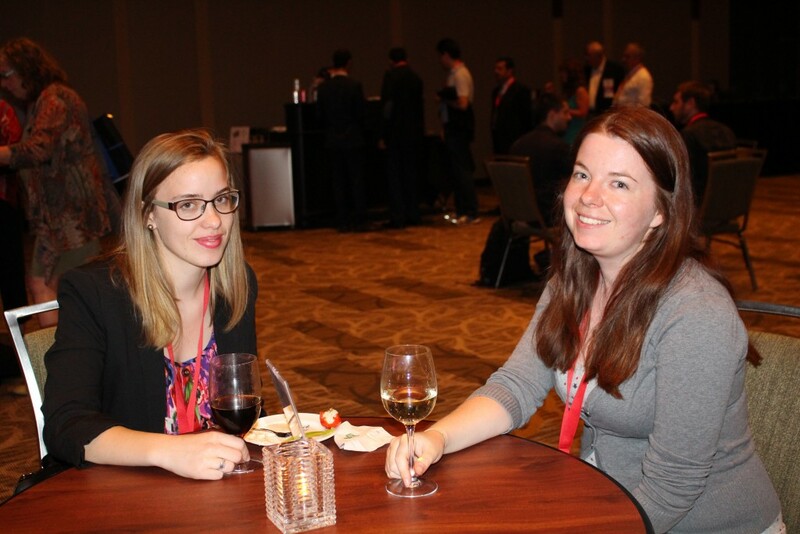 The Student Division closes out the evening with a student social (7:30 – 9:30 p.m. at the Sheraton Seattle, Cedar Room A), where students can meet student leaders and learn about different opportunities available for students at ASEE. 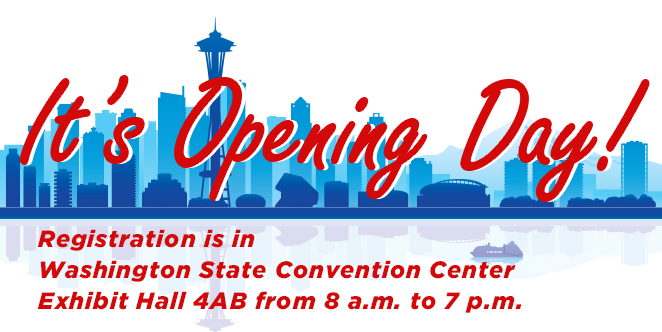 Note: The Exhibit Hall at the Washington State Convention Center will be open from 6 to 7:30 p.m. Sunday evening. Click HERE for a list of exhibitors and their booths. This entry was posted in Uncategorized on June 13, 2015 by aseeadmin. 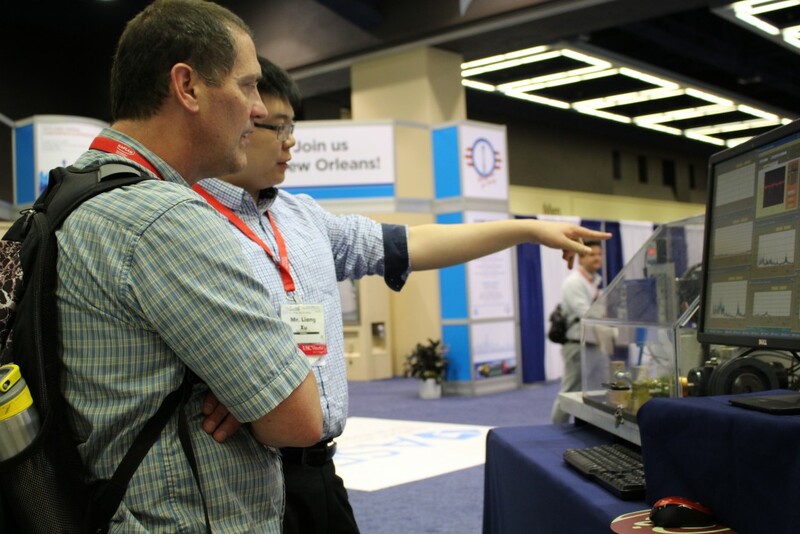 The ASEE Annual Conference & Exposition hosts over 400 technical sessions, with peer-reviewed papers spanning all disciplines of engineering education. 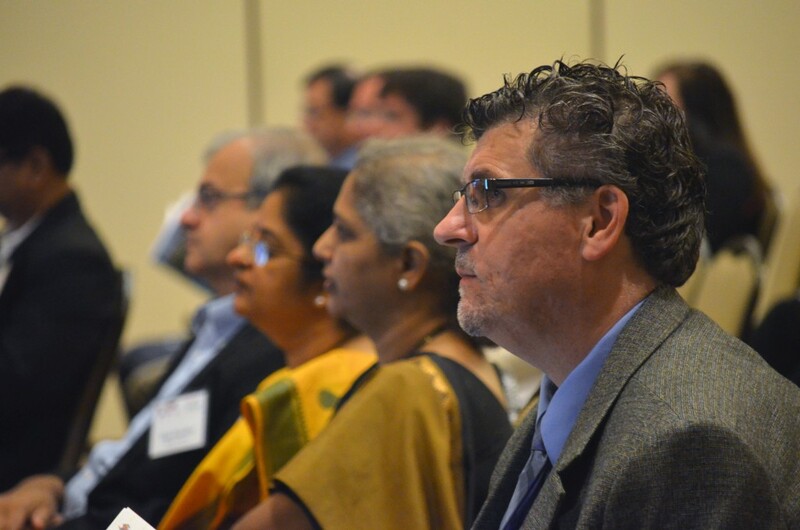 Attendees include deans, faculty and researchers, students, retirees, industry representatives, K-12 teachers, and more. Distinguished lectures are held on Wednesday, and there are two Main Plenaries, one that features the Conference Best Papers. There is also an Awards Ceremony and a variety of division awards banquets. 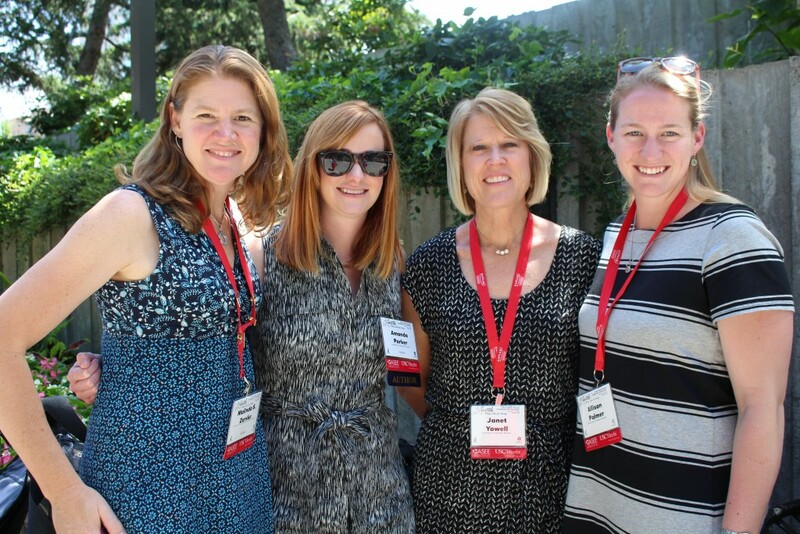 Highlights include the “Greet the Stars” orientation for new ASEE members and first-time conference attendees, the ASEE Division Mixer, and the “Focus on Exhibits” Welcome Reception, Brunch, Lemonade Social, and Closing Lunch. The 2016 conference will be inhttp://www.boeing.com/ New Orleans. We look forward to welcoming you there! Tweeting? Use #ASEEannual for a chance to win gift cards in the the Social Media contest. 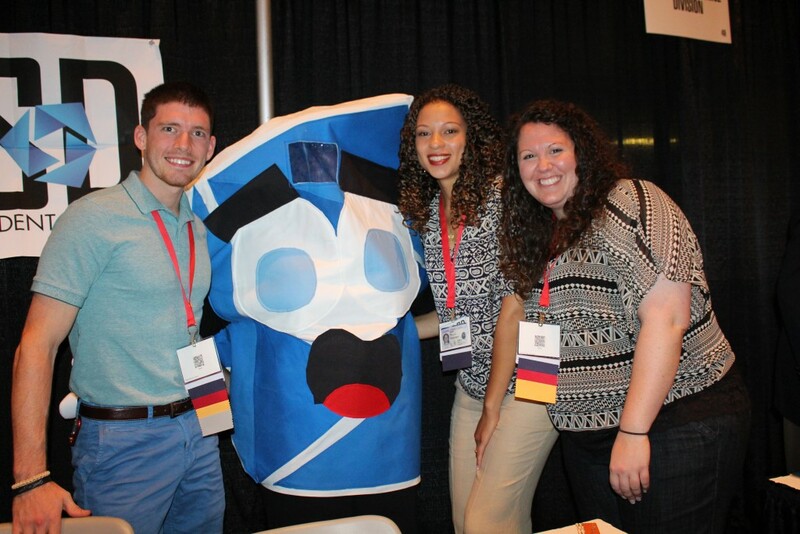 Post selfies with the executive director, answer daily trivia questions, and more! Follow @ASEEConferences for more information. A Speaker Ready Room is available for presentation preparation in Exhibit Hall 4 ABC, 8 a.m. to 5 p.m. on Monday and Tuesday. The speaker ready room will have a computer, LCD projector, and screen for adding last-minute updates or reviewing your presentation. No Internet access is provided. 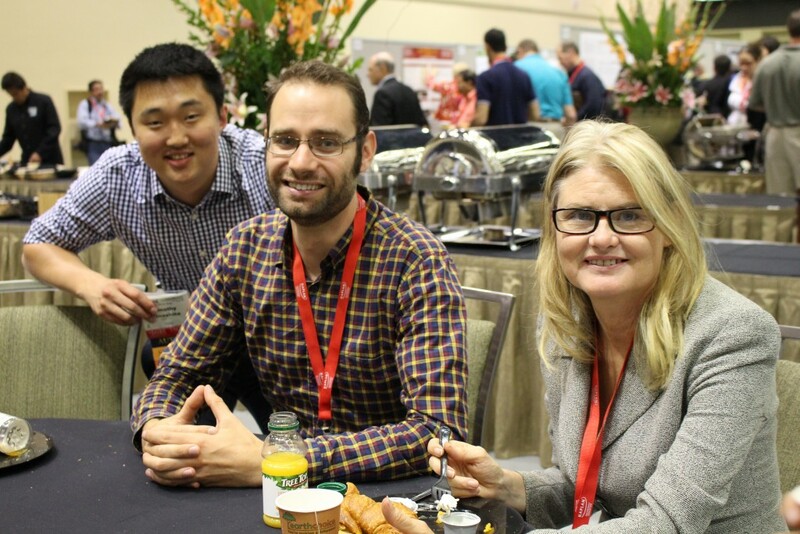 The ASEE Bistro, located in Exhibit Hall 4 ABC, has beverages and snacks for purchase on Monday and Tuesday. 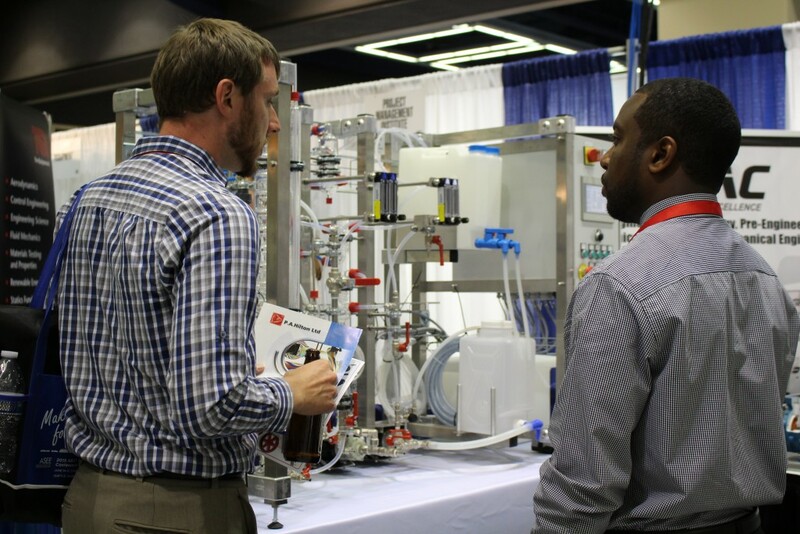 Note: The Exhibit Hall at the Washington State Convention Center will be open from 6 p.m. to 7:30 p.m. Sunday evening. Click HERE for a list of exhibitors and their booths. Join your fellow ASEE conference attendees for some exciting Major League Baseball action at Safeco Field! There are two great games to choose from for your group, including a matchup between the Seattle Mariners and the World Champion San Francisco Giants on Thursday, June 18, and a Friday night game against the Houston Astros with a post-game fireworks show on June 19. Tickets start at $17 and must be purchased by 5 p.m. the day before the game. Use promo code: ASEE. Please note: This special offer is online only and is not available at Team Stores or box office outlets. For questions, please call Bob Hellinger at (206) 346-4454. 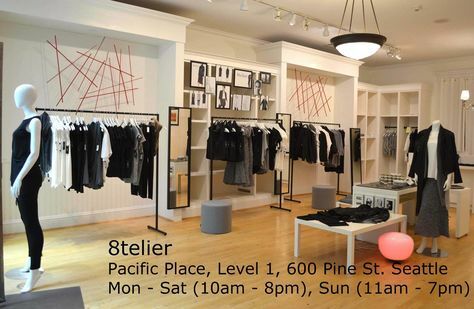 8telier, a unique-to-Seattle downtown store whose beautifully curated collection of locally designed, high function, low maintenance clothing and accessories brings Paris and New York Style to the Pacifc northwest, is offering ASEE members a special 20% discount on all items in the store. 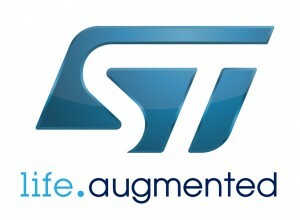 Just say you are here for the American Society for Engineering Education conference and receive 20% off. 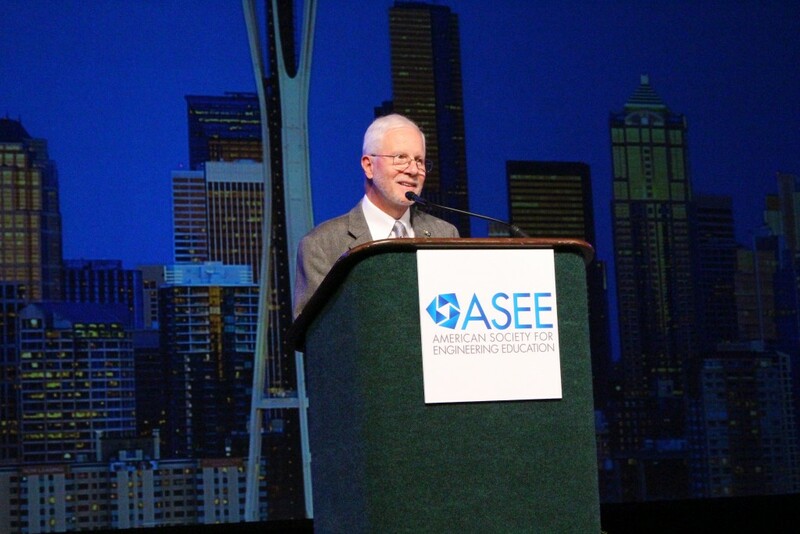 ASEE thanks our sponsors for their generous support of the 2015 ASEE Annual Conference. ASEE is proud to recognize the commitment of these innovative companies and universities in pursuit of a shared vision to promote excellence in engineering and technology education. 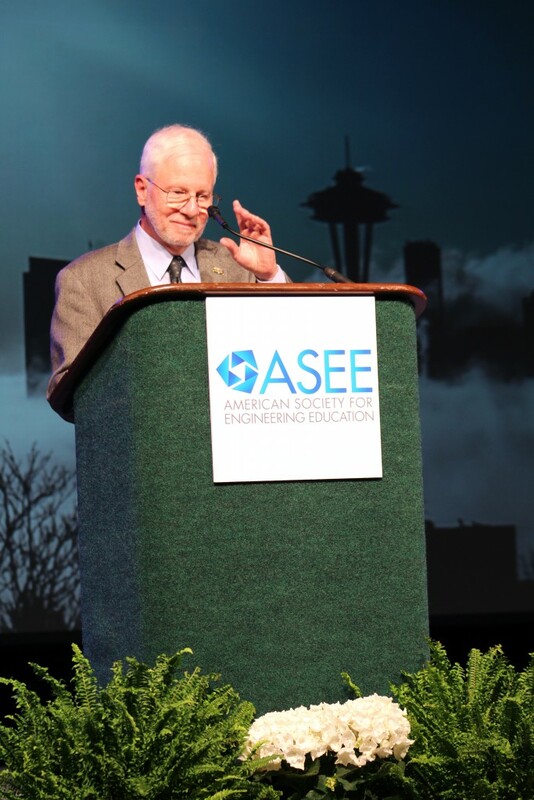 Become an ASEE Annual Conference sponsor today! For more information on exhibit and sponsorship opportunities, please contact Ashley Krawiec, Event Sales Manager at 202-649-3838 or a.krawiec@asee.org. This entry was posted in Uncategorized on June 10, 2015 by nnittoli.